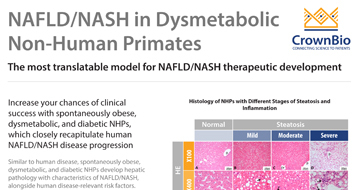 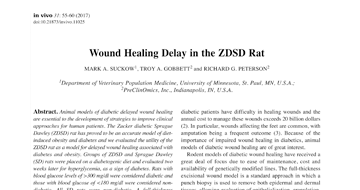 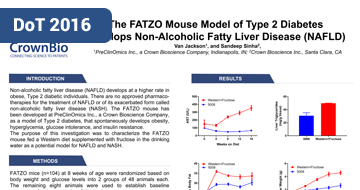 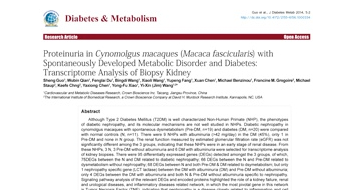 Read More Quick Fact NAFLD/NASH in Dysmetabolic Non-Human Primates Increase your chances of clinical success with spontaneously obese, dysmetabolic, and diabetic..
Read More Poster The FATZO Mouse – A Translatable Model for GLP-1 Agonist Screening Glucagon-like Peptide-1 (GLP-1) receptor agonists, e.g. 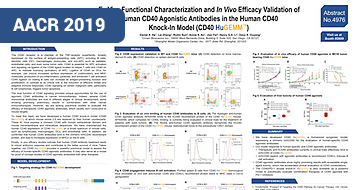 semaglutide, improve glucose homeostasis..
Read More Poster AACR Poster 4976: Human CD40 Agonist Antibody Assessment with Human CD40 KI.. Ex Vivo Functional Characterization and In Vivo Efficacy Validation of Human CD40 Agonistic..
Read More Poster AACR Poster 4621: Tumor Homografts for Prostate Cancer Combination Therapy.. 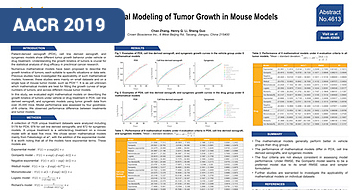 Developing Genetically Modified Homograft Models of Mouse Prostate Cancer for Efficacy..
Read More Poster AACR Poster 4610: Predictive Biomarker Discovery in CRC using PDX Models Prognostic Impact of KRAS Driver Mutations and GSTT1 Expression in Colorectal Cancer to FOLFOX..
Read More Poster AACR Poster 3418: Authenticating Tumor Models with an NGS-Based SNP Array A NGS-Based SNP Array for the Identification of Human Xenograft Tumors, Mouse Homograft Tumors,..
Read More Poster AACR Poster 2375: Combination I/O Assessment with Double KI Checkpoint Target.. 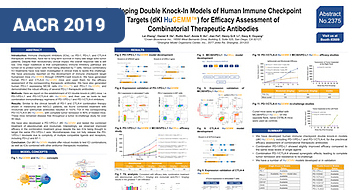 Developing Double Knock-In Models of Human Immune Checkpoint Targets (dKI HuGEMM™) for Efficacy..
Read More Poster AACR Poster 2342: Developing GvHD Models with Human PBMCs and CD34+ Cells Experimental Modeling of Acute- and Chronic-GvHD by Xenotransplanting Human Donor PBMCs or Cord..
Read More Poster AACR Poster 1925: New PDX-Derived Cancer Organoids Developed Establishment and Characterization of 3D Cancer Organoids as Clinically Relevant Ex Vivo Drug..
Read More Poster AACR Poster 1060: Prostate Cancer PDX for Predictive Preclinical Studies Establishment of a Panel of Prostate Patient-Derived Xenograft (PDX) Models and Evaluation of..
Read More Poster AACR Poster 87: Bioluminescent Imaging of Orthotopic Syngeneic Models Recapitulating the Orthotopic Tumor Microenvironment using Bioluminescent Syngeneic Models in..
Read More Publication New NAFLD/NASH Mouse Model with Concurrent Metabolic Dysregulation Metabolic disorders, including insulin resistance, obesity, and hyperglycemia, are prominent..
Watch Now On-Demand Webinar How to Leverage Tumor Models for Pancreatic Cancer Research Pancreatic cancer is a challenging disease to research, in both the preclinical and clinical..
Read More Quick Fact Non-GLP Toxicology and Safety Pharmacology Studies Gain maximum confidence for regulatory submissions through our range of Non-GLP Toxicology and..
Watch Now On-Demand Webinar Imaging Orthotopic and Metastatic Preclinical Models for Oncology Drug Discovery Orthotopic tumor models have many advantages over subcutaneous counterparts, including..
Read More Poster Prostate Cancer Tumor Homografts for I/O Assessment New preclinical models are needed for prostate cancer drug development, which can be used to..
Watch Now On-Demand Webinar Exploring Translational Capabilities of Preclinical IBD Models The development of a variety of preclinical models has advanced our understanding of underlying..
Read More Poster IDDST 2018 Presentation Non-alcoholic fatty liver disease (NAFLD) and non-alcoholic steatohepatitis (NASH) are becoming..
Read More Poster Diabetes Summit 2018 Presentation With diabetes prevalence continuing to rise, improved methods are needed for glucose monitoring..
Read More Quick Fact Clinical Chemistry and Biomarker Services Make confident decisions from rapid, reliable data in your early preclinical cardiovascular and.. 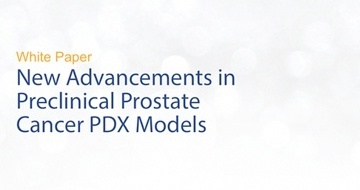 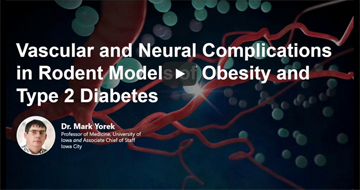 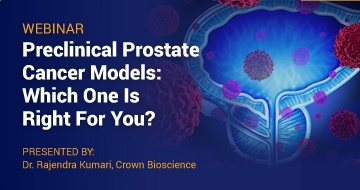 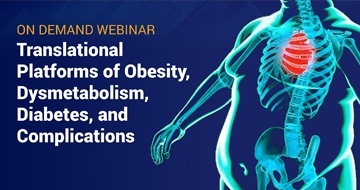 Event Lunch & Learn: Preclinical Immuno-Oncology: From Drug Discovery to Preliminary..
Watch Now On-Demand Webinar Translational Platforms of Obesity, Dysmetabolism, Diabetes, and Complications A key challenge in preclinical obesity, dysmetabolism, and diabetes studies is the lack of..
Watch Now On-Demand Webinar Preclinical Prostate Cancer Models: Which One is Right For You? 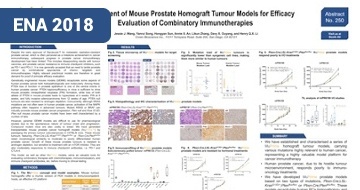 Preclinical prostate cancer research is hampered by a lack of predictive models to investigate..
Read More Poster Poster 329: Orthotopic Syngeneics: More Clinically Relevant I/O Models Recapitulating the orthotopic tumour microenvironment using bioluminescent syngeneic models in..
Read More Poster Poster 313: Orthotopic Homograft Tumours Display Distinct TIL Patterns Orthotopic homograft tumours (syngeneic) display distinct tumour infiltrate immune cell patterns..
Read More Poster Poster 312: Comparing Kidney Cancer Genomics Across Populations Genomic characterisation of Chinese clear cell renal cell carcinoma revealed novel prognostic..
Read More Poster Poster 305: Comparing Categorical Response Methods for Tumour Model Studies Evaluation of categorical response methods in predicting drug responses in transplanted tumour..
Read More Poster Poster 250: Tumour Homografts for Prostate Cancer I/O Development Establishment of mouse prostate homograft tumour models for efficacy evaluation of combinatory..
Read More Poster Poster 241: Characterising Syngeneics to Guide Model Selection Utilising murine syngeneic model systems in I/O drug discovery: broad applications and guidance..
Read More Poster Poster 240: Evaluate Bispecific Antibodies with PBMC-Humanised Models Establishment and application of a panel of PBMC-humanised mouse tumour models in..
Read More Poster Poster 226: Immune Checkpoint Double Knock-In Models for I/O Testing Generation of human immune checkpoint double knock-in mice (dKI HuGEMM™) for preclinical..
Read More Publication Assessing CAR-T Cell Therapy for Pancreatic Cancer with PDX Models Despite an improvement in our knowledge of pancreatic cancer biology, standard of care treatment..
Read More Publication Noninvasive Echography of NASH in Obese, Dysmetabolic, and Diabetic NHP Nonalcoholic fatty liver disease (NAFLD)/steatohepatitis (NASH) is one of the most common causes..
Read More Publication ZDSD Rat – A Novel Preclinical Model of Diabetic Nephropathy Diabetic nephropathy is the leading cause of end-stage renal disease, and is estimated to occur..
Read More Publication Comparing CGM Systems Preclinically for Diabetes Research Continuous glucose monitoring (CGM) is an alternative to standard blood glucose measurement..
Read More Publication ZDSD Rat Characterization Metabolic diseases are broadly defined as pathological conditions caused by dysregulation of..
Read More Poster Poster 1021: New Preclinical Mouse Model of Diabetic Nephropathy Next Generation of Spontaneous Diabetic Model of MS-NASH (FATZO) Mice with Intact Leptin..
Read More Poster Poster 535: New Preclinical Model for Diabetic Cardiomyopathy Next Generation of Spontaneous Diabetic Model of ZDSD Rats with Intact Leptin Signaling Develop..
Read More Poster Poster 3.9: Novel Uses for PDX Models in Preclinical Drug Development Cancers are diverse genetic and immunological abnormalities, which results in specific..
Read More White Paper New Advancements in Preclinical Prostate Cancer PDX Models Enhance Prostate Cancer Drug Development with More Translational Preclinical Models including..
Watch Now Presentation Tumour Models London 17 Presentation - Dr Rajendra Kumari There is an increasing demand for clinically relevant and predictive models in preclinical..
Read More White Paper Immunocompetent Murine Models: A Guide to Understanding their Place in.. 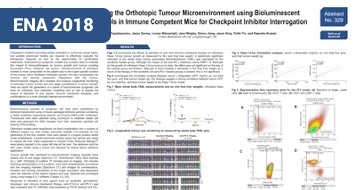 The Challenge: How to Explore and Evaluate Novel Immunotherapies and Combination Regimens before..
Read More Poster Assess Targeted I/O Agents with PBMC-Humanized Models There is an increasing need for fast, reliable, and cost-effective immunocompetent models for..
Read More Poster Discover Robust 3D Ex Vivo Compound Screening Ex vivo cancer pharmacology has shown advantages over in vitro and in vivo approaches in..
Read More Poster Novel PDAC Murine Homografts for I/O Drug Development Preclinical, immunocompetent models are needed for immunotherapy drug development in pancreatic..
Read More Poster Bispecific Antibody Evaluation via CD3E Transgenic Model Preclinical development and evaluation of T cell-redirecting antibodies is often blocked by a..
Read More Poster ZDSD Rat Preclinical Model for Cardiomyopathy Drug Discovery Cardiomyopathy is the leading cause of morbidity and mortality among diabetes and obesity..
Read More Poster Patient Relevant Immune Cell Response in MS-NASH (FATZO) T2D Model Type 2 diabetes and obesity are strongly associated with a peripheral immune response. 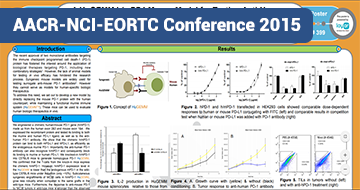 Disease..
Read More Poster Bioluminescent Orthotopic Syngeneics for I/O Assessment There are limited treatment options available for hepatocellular carcinoma (HCC), which is an..
Read More Poster In Vitro Assay Platform to Test Anti-CD47 Agents CD47 is a transmembrane protein belonging to the immunoglobulin family. 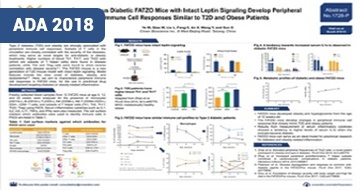 It acts as a “don’t eat..
Read More Poster NAFLD/NASH Mouse Model with Metabolic Dysregulation Metabolic disturbances such as insulin resistance, obesity, and dyslipidemia are prominent risk..
Read More Poster WES and RNAseq Comparison of PDX Mutations Patient-derived xenografts (PDX) are widely used, highly predictive, preclinical oncology..
Read More Poster Poster a90037: DGAT-1 Inhibition in Obese Mice vs NHPs The microsomal enzyme diacylglycerol O-acyltransferase 1 (DGAT-1) plays a key role in the..
Read More Poster Poster a90026: Banana Tolerance Test – A Stress Free Alternative to oGTT Spontaneously diabetic NHPs are a highly translatable preclinical model for the evaluation of..
Read More Poster KPC Homograft Models for PDAC Combination I/O Studies Pancreatic ductal adenocarcinoma (PDAC) remains one of the most difficult to treat cancer types,..
Read More Poster Microbiota Enrichment Associated with PD-1 Response Studies have shown that the gut microbiome may influence antitumor immune response via innate..
Read More Poster DLBCL PDX Models with Diverse Genotypes for BTKi Testing Bruton's tyrosine kinase (BTK) activation is a major oncogenic driver for various B cell-derived..
Read More Poster IDO1 Inhibition Assay Measuring Kyn Levels Developed IDO1 is a major mechanism of immunosuppression in tumors, with expression of IDO1 by tumor cells..
Read More Poster New Ex Vivo PDX Compound Screening Platform Patient-derived xenograft (PDX) models are in high demand in preclinical drug development due to..
Read More Poster TIL-Treg Subtype Shift Induced by Vaccination Tumor infiltrating lymphocytes, including regulatory T cells (Treg), are believed to play a..
Read More Poster Disrupting the CD47-SIRPa Anti-Phagocytic Axis in I/O Macrophages provide an important surveillance system, which can be escaped by human tumors..
Read More Poster Recapitulating the TME in Ex Vivo 3D Tumor Growth Assay The assessment of novel tumor microenvironment (TME) targeting therapies is currently hindered..
Read More Poster Using Genetic Features to ID and QC Murine I/O Models Mouse tumor homografts (derived from syngeneics, GEMM, etc.) 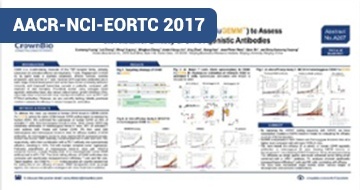 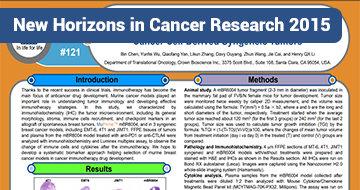 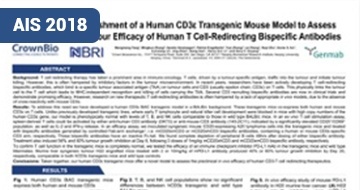 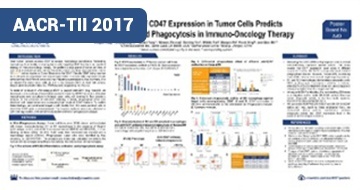 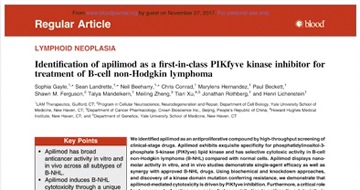 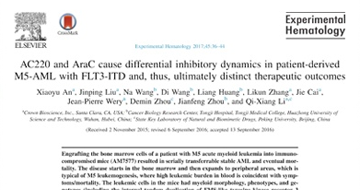 engrafted in their corresponding..
Read More Poster CD3E Transgenic Mouse Model for Bispecific Antibody Testing T cell-redirecting therapy is taking a prominent role in immuno-oncology. 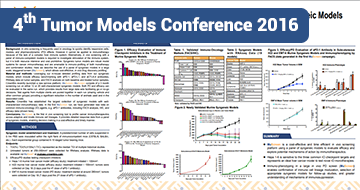 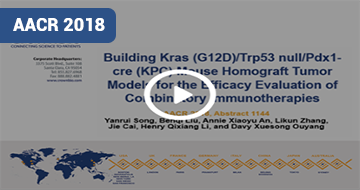 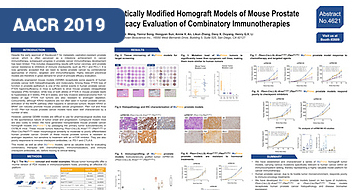 Recent research has..
Read More Poster PBMC-Humanized Models for Targeted Cancer Immunotherapy Monoclonal antibodies and checkpoint inhibitors have achieved remarkable clinical success in..
Read More Poster KPC Homograft Models for PDAC Combination Immunotherapy Development Pancreatic ductal adenocarcinoma (PDAC) has a poor 5-year survival rate and remains one of the..
Read More Poster Humanized OX40 Mouse Models for Preclinical I/O Studies OX40 is a co-stimulatory receptor of the TNF receptor superfamily, and is at the forefront of..
Read More Poster Using PDX as Surrogate Models for TME Investigation Cancers are being increasingly recognized as collections of diverse immune diseases, on top of..
Read More Poster PBMC-Humanized Models for In Vivo I/O Studies The recent rise in cancer immunotherapy research and drug approvals is providing promising..
Read More Poster Orthotopic, Bioluminescent Syngeneic HCC Models for Immunotherapy Assessment There are currently limited treatment options for hepatocellular carcinoma (HCC), which is a..
Read More Poster Orthotopic, Bioluminescent Ovarian Cancer Xenograft Models Developed Due to late diagnoses and common treatment failure, ovarian cancer has a high lethality, and is..
Read More Poster Evaluate Human Origin OX40 Therapeutics In Vivo OX40, a member of the TNF superfamily, is now at the forefront of the field known as “T cell..
Read More Poster Evaluate Human-Specific Immunotherapies In Vivo Immunotherapies have demonstrated considerable success in oncology research, treating a variety..
Read More Poster Immunosuppressive Phenotype and Poor I/O Agent Response Correlation While checkpoint inhibitors are proving highly successful in oncology, a large proportion of..
Read More Poster KPC Homograft Models for PDAC I/O Efficacy Studies Pancreatic ductal adenocarcinoma (PDAC) has a poor 5-year survival rate and remains one of the..
Read More Poster In Vivo Syngeneic Screening Platform for Immunotherapeutics Syngeneic tumor models are the current workhorse in immunotherapy evaluation. 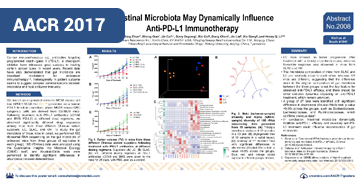 They have a long..
Read More Poster Anti-PD-1 Treatment Induces Gut Microbiota Changes Commensal microbiota plays an important role in both physiological and pathological processes..
Read More Poster Frailty Models Better Assess Drug Efficacy in MCTs Mouse clinical trials (MCTs) use a cohort of patient-derived xenograft (PDX) models to evaluate..
Read More Poster Evaluate and Quantify Two-Drug Combination Effects In Vitro Combination therapy provides the opportunity for increased efficacy and reduced toxicity and..
Read More Poster Clinically Relevant DLBCL PDX Models for BTK Inhibitor Testing The activation of Bruton's tyrosine kinase (BTK) is considered as a major oncogenic driver for..
Read More Poster Human OX40 Knock-In Model for I/O Agent In Vivo Testing OX40 is a co-stimulatory molecule and a member of the TNF superfamily, and is at the forefront..
Read More Poster Characterization of PBMC Humanized Models for I/O Studies The recent growth in cancer immunotherapy has provided both promising treatment options for..
Read More Poster Comprehensive Profiling of a Variety of I/O Models Immunotherapies such as checkpoint inhibitors have achieved great success in treating cancer..
Watch Now Presentation Tumor Models San Francisco 2018 Presentation - Dr H Toni Jun While immunotherapy continues to dominate cancer research, a number of questions and challenges..
Watch Now Presentation BioCom Humanized Oncology Model Seminar 2018 - Dr H Toni Jun Immunotherapy has proven to be a game changer in treating many cancer types e.g. 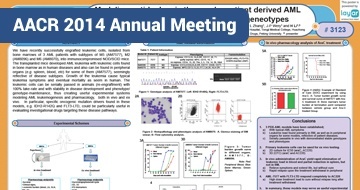 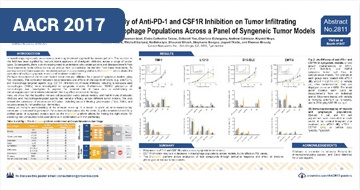 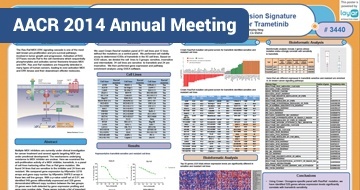 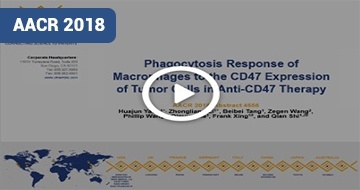 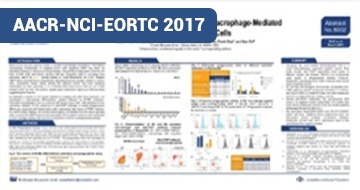 metastatic..
Read More Poster Disrupting the CD47-SIRPa Anti-Phagocytic Axis: A Novel I/O Approach Most human tumors express CD47 to escape macrophage surveillance. 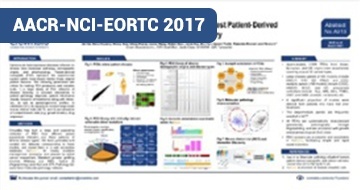 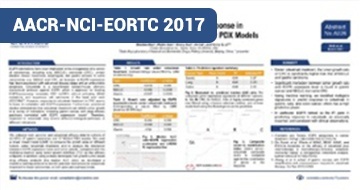 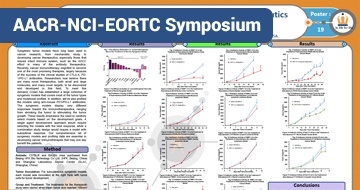 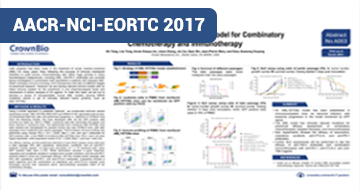 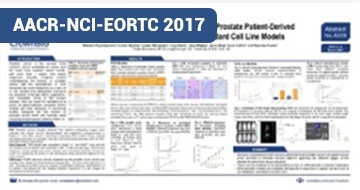 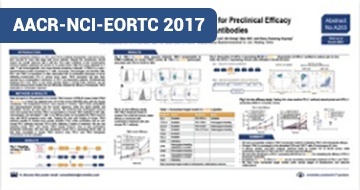 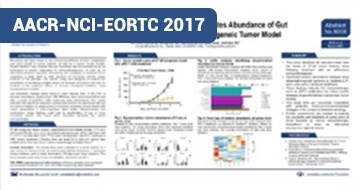 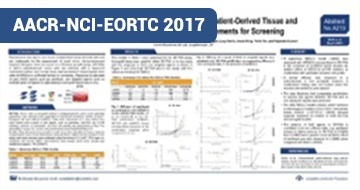 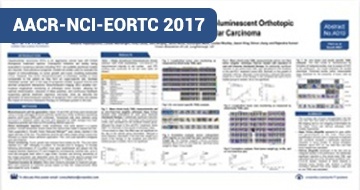 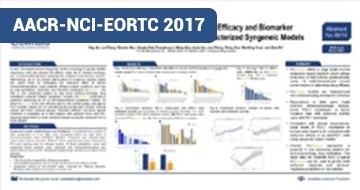 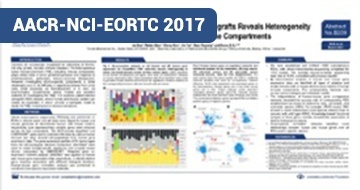 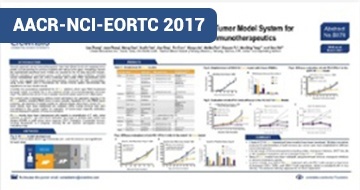 Therefore reinstating..
Read More Poster Combination Screening of I/O and Targeted Agents In Vitro To advance preclinical immuno-oncology drug discovery, CrownBio has developed a syngeneic model..
Watch Now Presentation EORTC 17 Short Talk - Dr Henry Q. Li It is being increasingly recognized that cancers are not just genetic diseases, but are also..
Read More Poster Immunocompetent AML Model for Preclinical Efficacy Testing Acute myeloid leukemia (AML) treatment options stagnated for many years, until the approval of..
Read More Poster Characterization of Prostate Cancer PDX Models Prostate cancer is the second most common cancer worldwide for males, and the fourth most common..
Read More Poster Orthotopic, Bioluminescent Syngeneic HCC Models Developed Hepatocellular carcinoma (HCC) is an aggressive cancer type with limited therapeutic treatment..
Read More Poster Discover the World’s Largest, Well-Characterized PDX Collection Patient-derived xenograft (PDX) models are recognized as the most predictive preclinical models,..
Read More Poster Evaluate Human-Specific TIM-3 Immunotherapeutics In Vivo Research is currently ongoing on how to improve the low overall response rate to checkpoint..
Read More Poster Evaluate the Efficacy of Human OX40 Therapeutics and Combination Regimens In.. OX40 is a member of the TNF superfamily, and is now at the forefront of the field known as “T..
Read More Poster 3D-Tumor Growth Assay Data Correlate with In Vivo Efficacy Study Results Current preclinical in vitro and in vivo models lack human stromal cells, and are therefore not..
Read More Poster Gut Microbiota Abundance Regulated by Anti-PD-1 Treatment New research has revealed that gut microbiota has the potential to act as biomarkers that could..
Read More Poster Cost Effective, In Vivo Syngeneic I/O Agent Screening Panel In vitro cell-based screens frequently used in oncology to quickly identify responsive cells,..
Read More Poster PBMC Humanized In Vivo Models for Evaluation of Human-Specific I/O Agents There are multiple published strategies for creating humanized mouse models, including..
Read More Poster PDX as Surrogate Models for TME Investigation It is being increasingly recognized that cancers are collections of diverse immune, as well as..
Read More Poster Anti-PD-1 Treatment Induces Gut Microbiota Profile Changes Commensal microbiota plays an important role in both physiological and pathological processes..
Read More Poster A Novel Immunotherapy Approach Against Cancer Most human tumors express CD47 to escape macrophage surveillance. 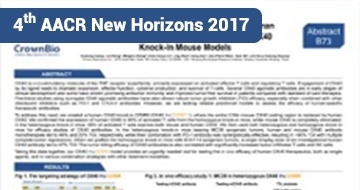 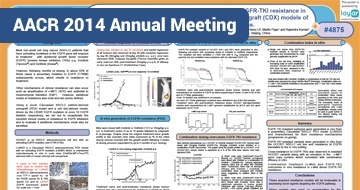 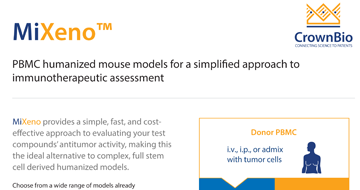 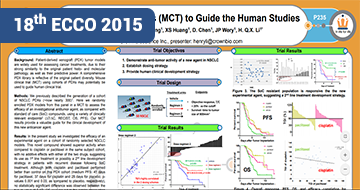 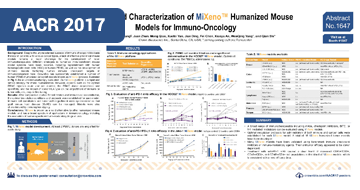 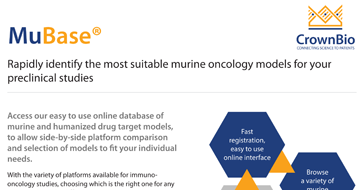 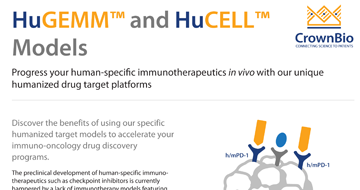 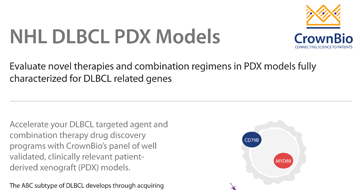 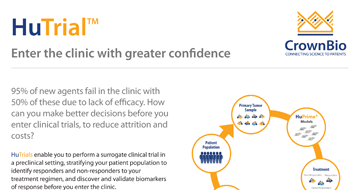 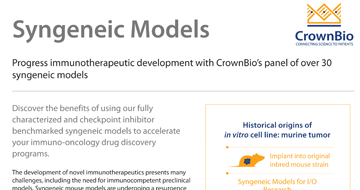 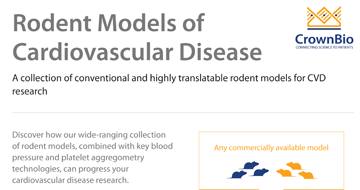 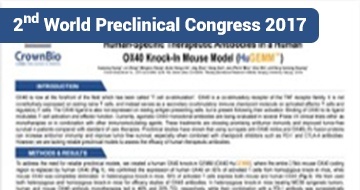 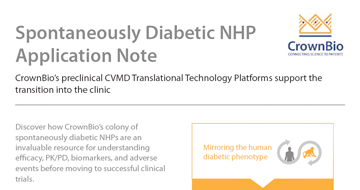 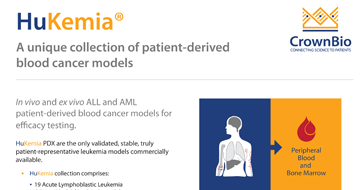 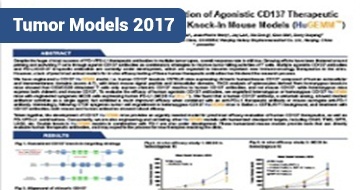 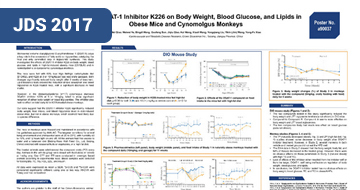 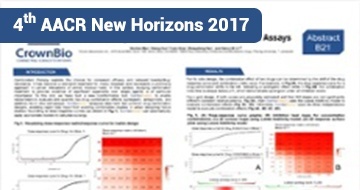 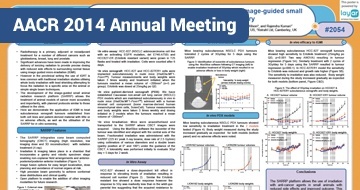 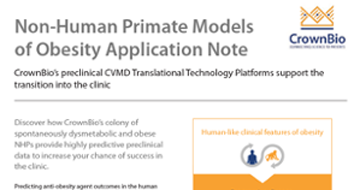 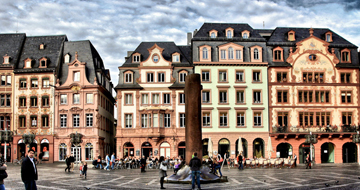 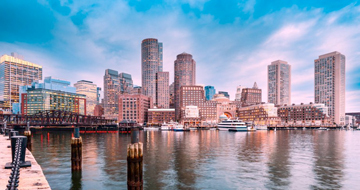 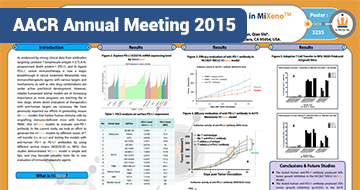 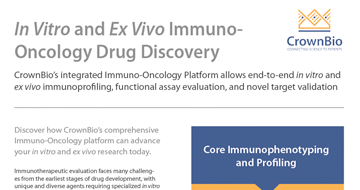 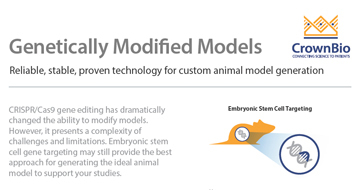 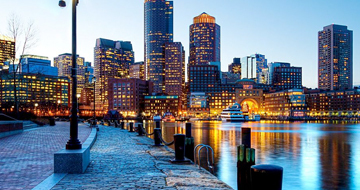 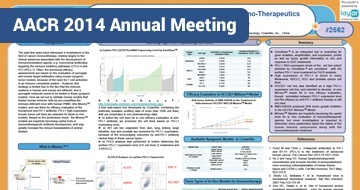 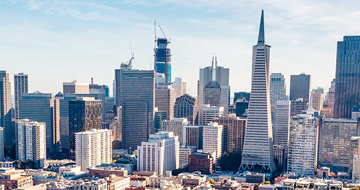 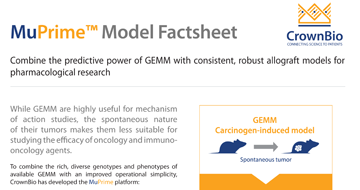 Therefore targeting CD47 to..
Read More Poster MiXeno™ – Simple, Fast, and Cost-Effective Humanized Models Preclinical humanized mouse models are required to assess human-specific therapeutics. 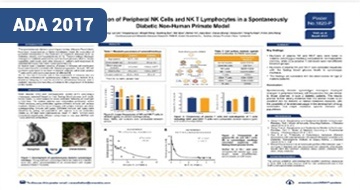 Different..
Read More Poster Spontaneously Diabetic NHPs are Valuable Preclinical Models for Liver Steatosis Diabetes is frequently associated with abdominal fat accumulation and lipid disorders, which..
Read More Poster Humanized CD137 Models for Preclinical Drug Development PD-1/PD-L1 checkpoint inhibitors have achieved huge clinical success (and drug approval) across..
Read More Poster Evaluate Human Specific CD137 Antibodies Despite the huge clinical success of PD-1/PD-L1 checkpoint inhibitors in multiple tumor types,..
Read More Poster Naturally Diabetic NHP Immune Cell Changes Correspond to Human Diabetics Changes in immune cell distribution have been found to correlate with disease progression in..
Read More Poster Continuous Glucose Telemetry Monitoring: A Useful Tool for Diabetes Research Disruption of human biological rhythms, e.g. 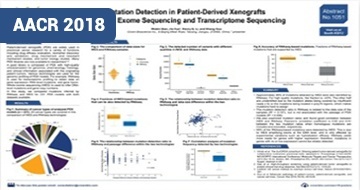 by shift work, can increase the risk of developing..
Read More Poster WES - A Better Approach to PDX CNV Detection Prediction of DNA copy number variation (CNV) is a critical component of genomic profiling, as..
Read More Poster MiXeno™ - a Rapid and Simple Strategy for Model Humanization Despite the unprecedented success of immune checkpoint antibodies for a variety of cancer types,..
Read More Poster CD137 Target Humanized Model Established CD137 belongs to the TNF receptor super family, and its activation is essential to the function..
Read More Poster MuScreen™ – the First In Vivo IO Syngeneic Screening Platform Immunotherapeutics can be difficult to evaluate preclinically - in vitro cell-based screens..
Read More Poster Exploring Immunotherapies Through BLI Subcutaneous syngeneic models are widely used to evaluate the impact of immunotherapy on tumor..
Read More Poster Microbiota Dynamically Facilitate Anti-PD-L1 Efficacy Cancer immunotherapies such as antibodies targeting programmed death-ligand 1 (PD-L1), a..
Read More Poster Anti-PD-1 Induced Microbiota Changes Increasing evidence has shown that gut microbiota play an important role in shaping systemic..
Read More Poster MuPrime™ – A Novel Mouse Model for PARP Inhibitor Evaluation PARP inhibitors (PARPi) have seen a resurgence since their approval for BRCA mutated ovarian..
Read More Poster Evaluate TILs and TAMs in Syngeneic Models CrownBio has developed a syngeneic model screening platform to facilitate the preclinical..
Read More Poster Discover New PDX Models for Prostate Cancer Prostate cancer is the second most common cancer worldwide for males, and the fourth most common..
Read More Poster A Novel PDX Model to Evaluate FL-HCC Therapies Fibrolamellar hepatocellular carcinoma (FL-HCC) is a rare and distinct primary hepatic..
Read More Poster How to Design and Analyse your MCT Patient-derived xenografts (PDX) are a well-accepted experimental cancer model mimicking..
Read More Poster Humanized PDX Models for Anti-PD-1 Evaluation Human immune-reconstituted mice, generated by transplanting human CD34® hematopoietic stem cells..
Read More Poster Poster: Non-Human Primate Models for Dyslipidemia and Dysglycemia Research Obesity and diabetes are among the most serious public health issues of this century. 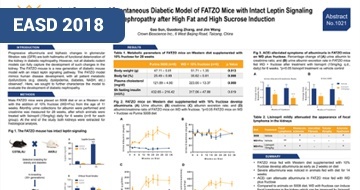 They..
Read More Poster Poster: The MS-NASH (FATZO) Mouse Model of Type 2 Diabetes Develops.. Non-alcoholic fatty liver disease (NAFLD) develops at a higher rate in obese, Type 2 diabetic..
Read More Poster Poster: Hepatic Lipidosis and Fibrosis in Obese, Dysmetabolic, and Diabetic.. Liver biopsy is the gold standard for clinical diagnosis of nonalcoholic fatty liver disease..
Read More Poster In Vitro Combination Screening of IO and Targeted Agents CrownBio has developed a syngeneic model screening platform to facilitate the preclinical..
Read More Poster A Panel of Well-Characterized Syngeneic Models for MuScreen™ In Vivo Screening In vitro screening is frequently used in oncology to quickly identify responsive cells, models,..
Read More Poster The Use of Dexcom G4 Continuous Glucose Monitoring in Diabetes NHP Research The Continuous Glucose Monitoring (CGM) system is approved by the FDA for 24-hr real time..
Read More Poster Characterization of MS-NASH (FATZO) Mice for Diabetes and Obesity Research Obesity is a growing threat resulting in co-morbidities of diabetes and cardiovascular disease. 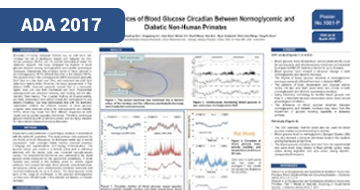 Read More Poster Advantages of Glucose Monitoring with an Implantable Telemetry Device in Freely.. Insulin-resistant diabetes (Type 2 diabetes mellitus, T2DM) is the most common form of diabetes..
Read More Poster Hepatic Lipidosis and Fibrosis in Obese, Dysmetabolic, and Diabetic Non-Human.. Liver biopsy is the gold standard for clinical diagnosis of nonalcoholic fatty liver disease..
Read More Poster Autocrine c-Met/HGF HCC PDX: Evaluation of a Biologic Targeting c-Met The mesenchymal-epithelial transition factor (c-Met) represents an important target for cancer..
Read More Poster Immunization is Critical to PD-1/PD- L1 Response in a Mouse Breast Cancer.. Immuno-oncology is an area under intense investigation due to the successful development of..
Read More Poster Immunology Syngeneic Models Demonstrate Additive Effects of Combination.. 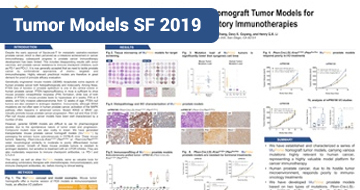 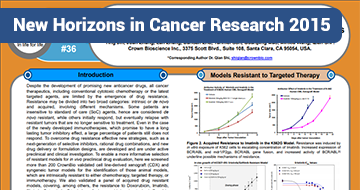 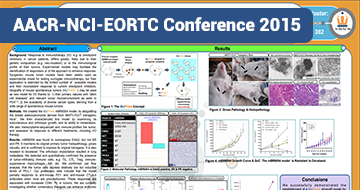 Recent progress in the field of cancer immunotherapy (IT) has made it possible to translate..
Read More Poster A Novel Mouse Skin Squamous Cell Carcinoma Allograft Model for In Vivo.. 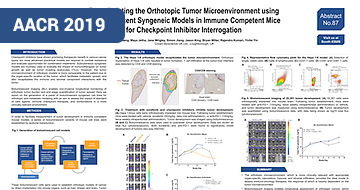 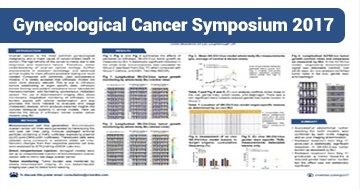 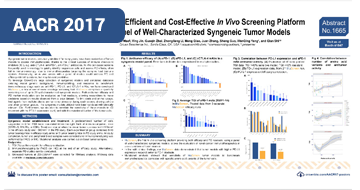 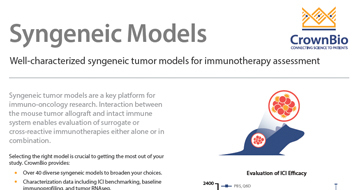 The recent clinical success of novel therapeutics blocking the immune checkpoints cytotoxic..
Read More Poster Orthotopic Syngeneic Tumor Models for Preclinical Evaluation of Cancer.. 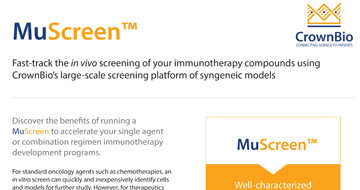 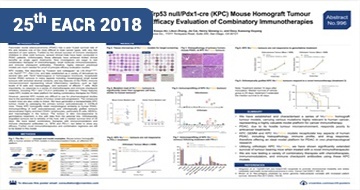 The recent clinical success of immunotherapy in indications such as melanoma and lung cancer has..
Read More Poster RNAseq and FACS Profiling of Syngeneic Mouse Models Treated with Immune.. Syngeneic tumor models have long been used in cancer research. 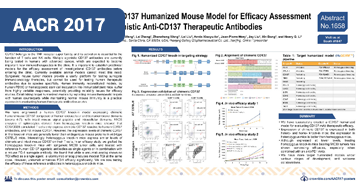 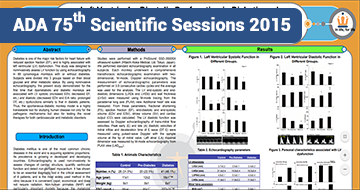 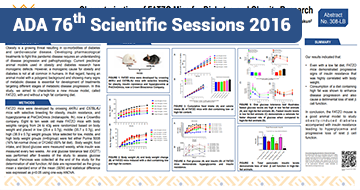 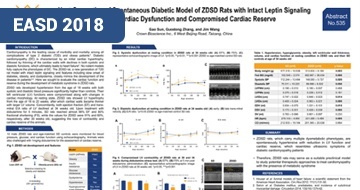 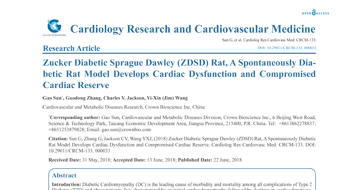 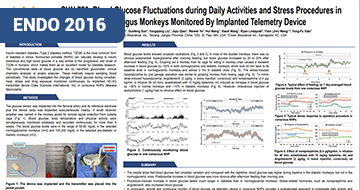 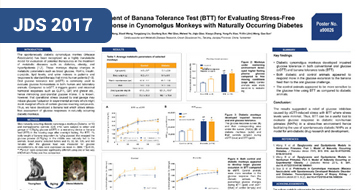 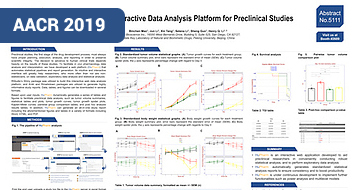 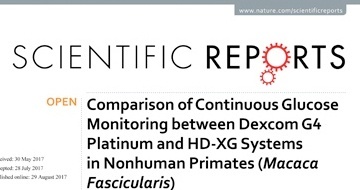 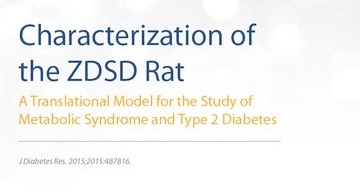 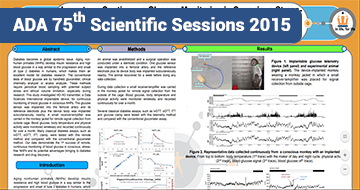 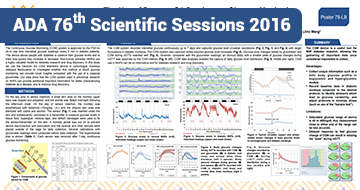 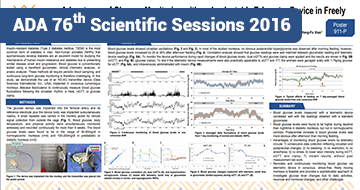 Recently, the clinical success..
Read More Poster Development of a Humanized Mouse Model for Direct Evaluation of Anti-Human.. 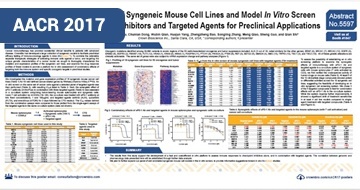 Therapies that perturb binding of the programmed death-ligand 1 (PD-L1) to its receptor,..
Read More Poster Using HuTrial™ to Aid in Predicting a Patient Population of Responders One of the biggest challenges in drug discovery is directing drug treatment to the correct..
Read More Poster MiXeno™ Humanized Mouse Model as an Efficient Tool to Evaluate In Vivo Activity.. Pancreatic ductal adenocarcinoma (PDA) remains one of the most aggressive tumors in humans. 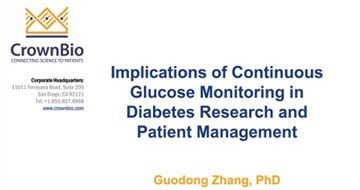 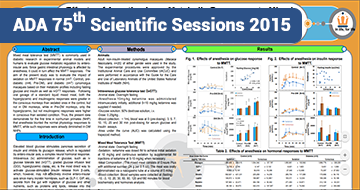 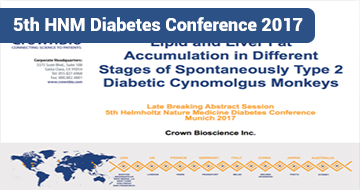 A..
Read More Poster Blood Glucose Fluctuations during Daily Activities and Stress Procedures in.. Insulin-resistant diabetes (Type 2 diabetes mellitus, T2DM) is the most common form of diabetes..
Read More Poster Overcoming Acquired Resistance in NSCLC with Targeted Beam Irradiation in.. 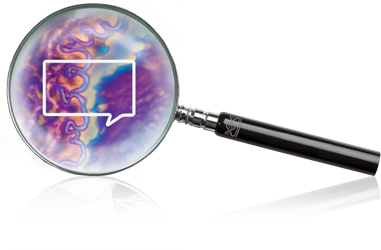 Lung cancer is the largest cancer killer with poor 5-year survival rate. 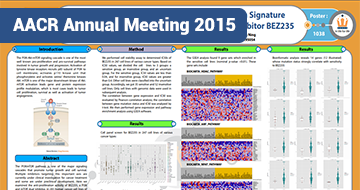 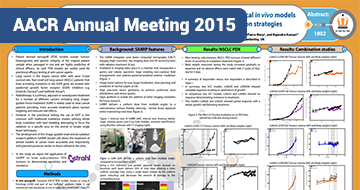 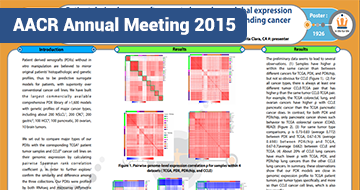 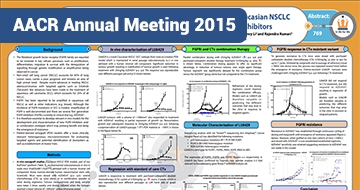 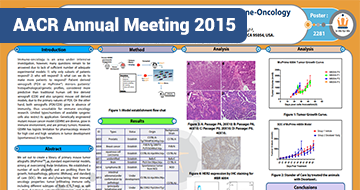 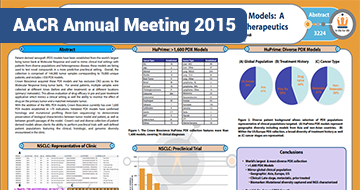 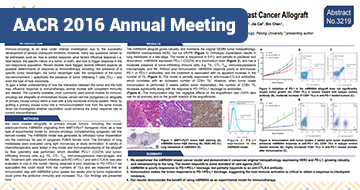 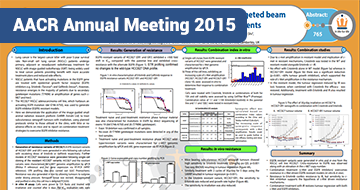 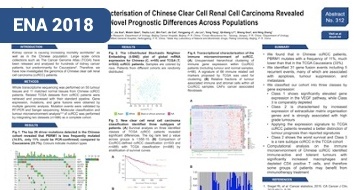 Non-small cell lung..
Read More Poster In Vivo Response and Molecular Characterization of a Caucasian NSCLC Squamous.. 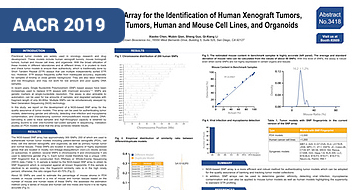 The fbroblast growth factor receptor (FGFR) family are reported to be involved in key cellular..
Read More Poster Cell-based Screening Identifies Gene Expression Signature Correlated with.. 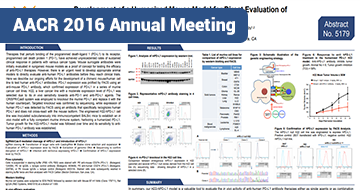 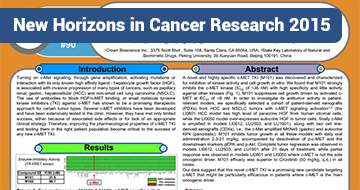 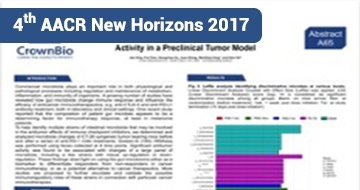 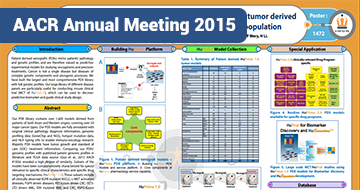 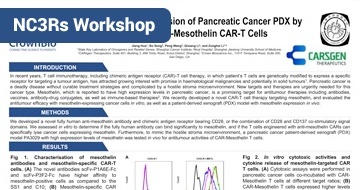 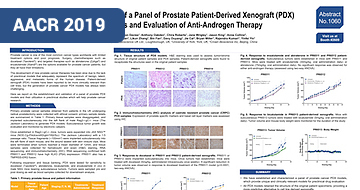 The PI3K-Akt-mTOR signaling cascade is one of the most well known pro-proliferation and..
Read More Poster Building a Comprehensive and Fully Annotated Patient Tumor Derived Xenograft.. 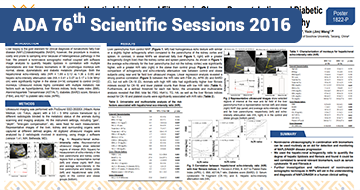 Patient derived xenografts (PDXs) mirror patients’ pathology and genetic profles, and are..
Read More Poster Application of Small Animal Image-Guided Irradiation to Preclinical In Vivo.. 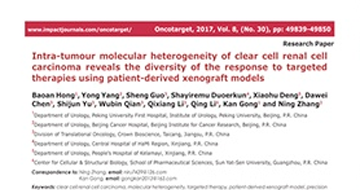 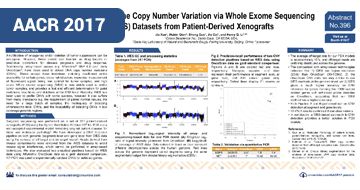 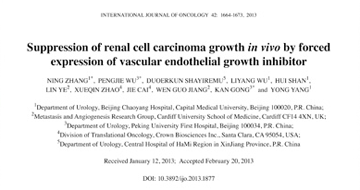 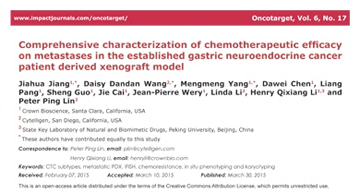 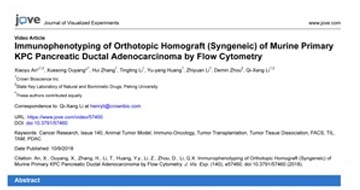 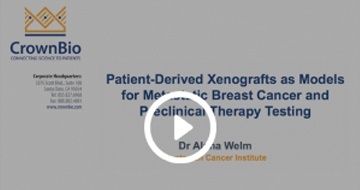 Patient derived xenograft (PDX) models sustain tumour heterogeneity and genetic integrity of the..
Read More Poster Patient-Derived Xenograft Seem to Have Closer Global Expression Profile to that.. 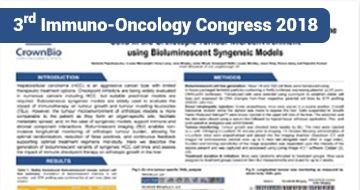 Patient derived xenografts (PDXs) without in vitro manipulation are believed to mirror original..
Read More Poster Building Mouse Tumor Derived Allografts for Immuno-Oncology Research Limited types/numbers of available syngenic cells also restrict its application. 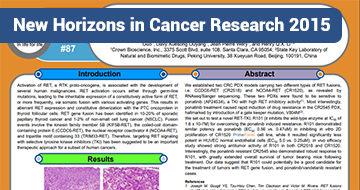 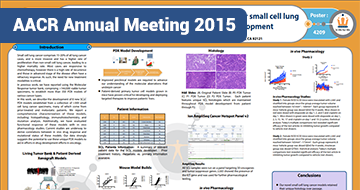 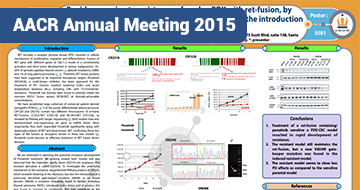 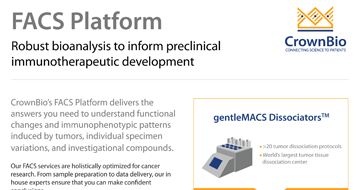 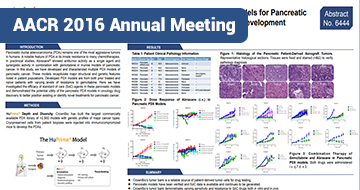 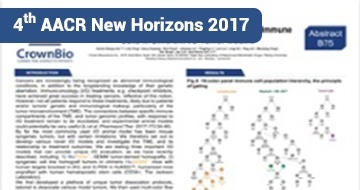 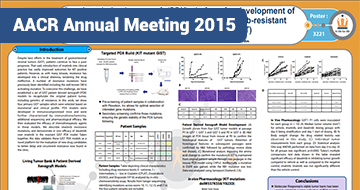 Genetically..
Read More Poster A Patient-Derived Xenograft (PDX) Platform for Development of Next Generation.. 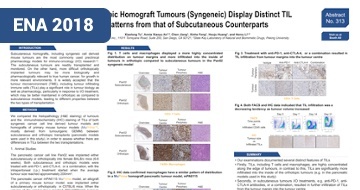 Despite best efforts in the treatment of gastrointestinal stromal tumors (GIST), patients..
Read More Poster Living Tumor Bank and Patient-Derived Xenograft Models: A Powerful.. Patient-derived xenograft (PDX) models have been established from the world’s largest living..
Read More Poster Patient-Derived Xenograft (PDX) Models for Triple Negative Breast Cancer.. 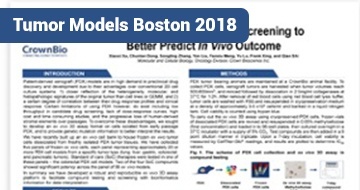 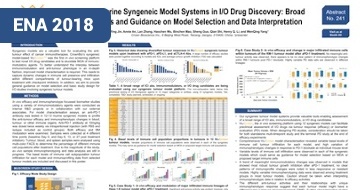 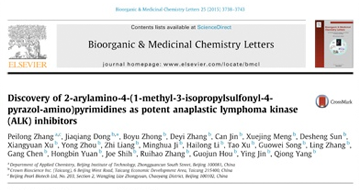 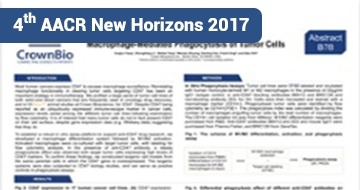 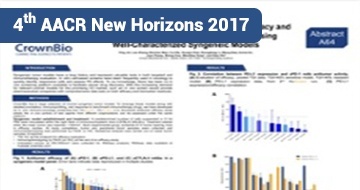 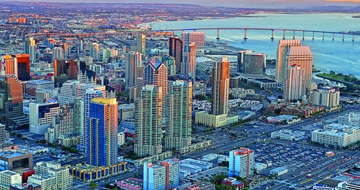 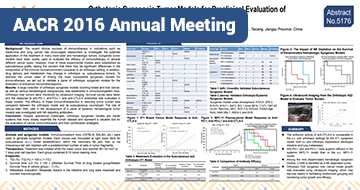 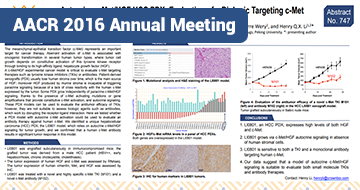 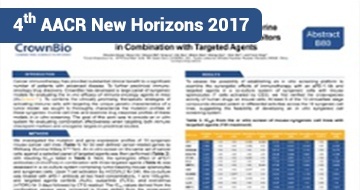 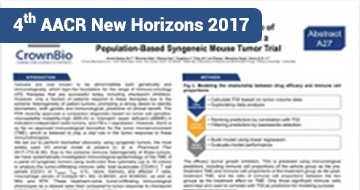 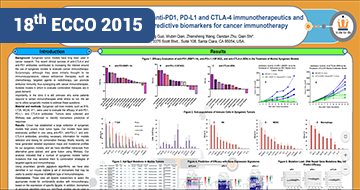 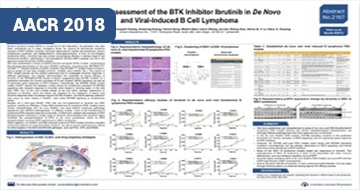 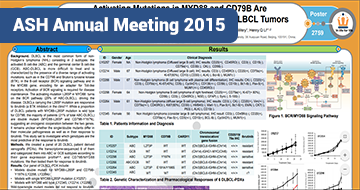 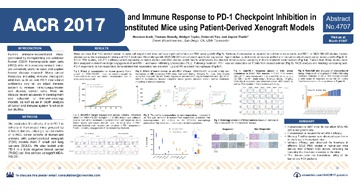 In the United States, TNBC comprises 15-20% of breast cancers and are characterized by the lack..
Read More Poster Validation of Anti-Human PD-1 and PD-L1 Antibodies in MiXeno™ Mouse Models As evidenced by strong clinical data from antibodies targeting cytotoxic T-lymphocyte antigen 4..
Read More Poster Rapid Conversion to Resistance of a Colon PDX with RET Fusion by Ponatinib.. RET encodes a receptor tyrosine kinase (RTK) involved in cellular mechanisms of proliferation,..
Read More Poster Development of Patient-Derived Xenograft Models for Small Cell Lung Cancer as a.. Small cell lung cancer comprises 15-20% of all lung cancer cases, and is more invasive and has a..
Read More Poster Drug Resistant Murine Tumor Models Facilitate the Development of Next.. 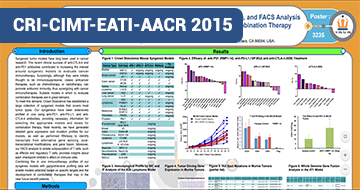 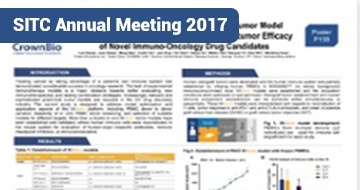 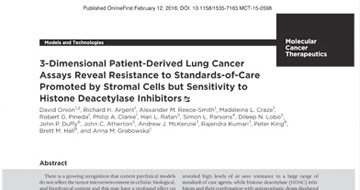 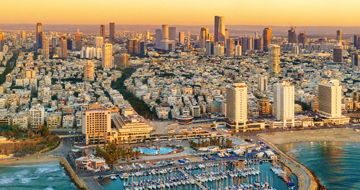 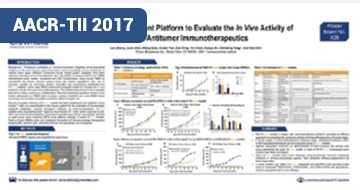 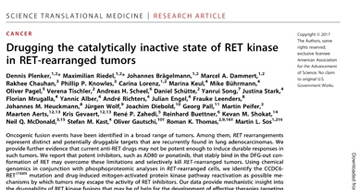 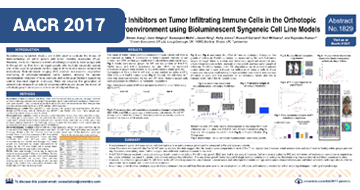 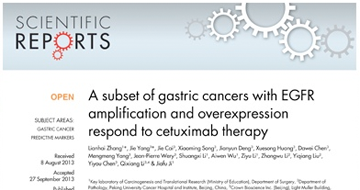 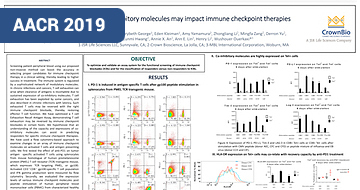 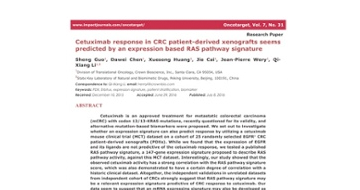 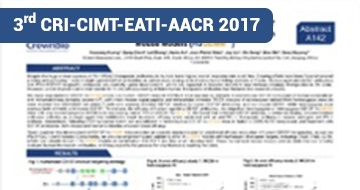 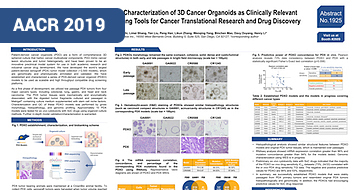 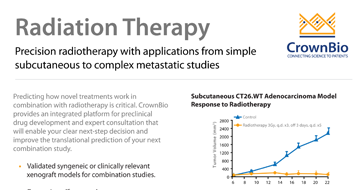 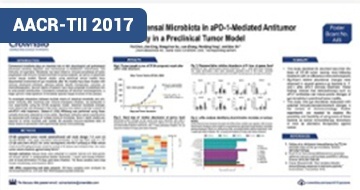 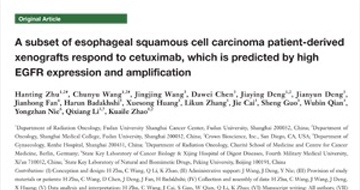 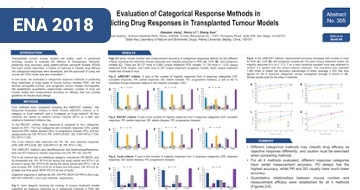 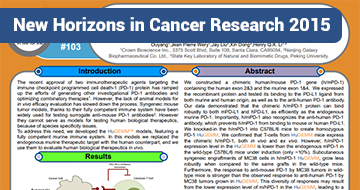 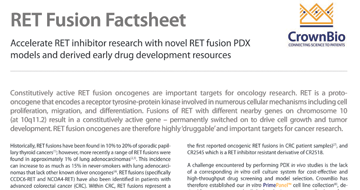 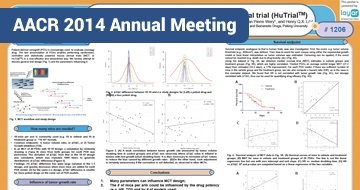 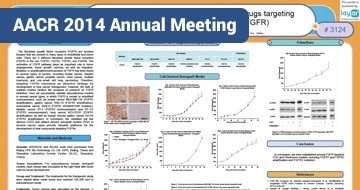 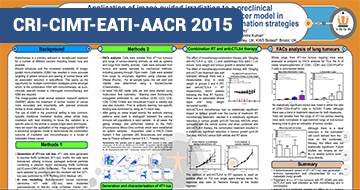 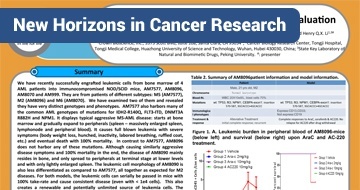 Despite the development of promising new anticancer drugs, all cancer therapeutics, including..
Read More Poster Response to Checkpoint Inhibition by GEMM Breast Cancer Allograft Response to immunotherapy (I/O, e.g. 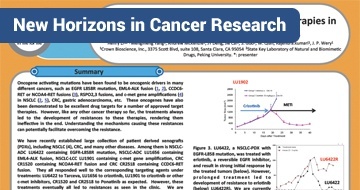 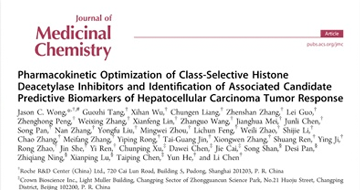 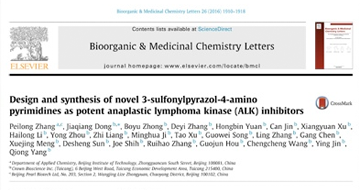 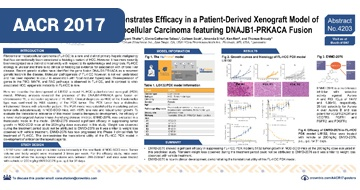 to checkpoint inhibitors) in cancer patients, differs..
Read More Poster Induction of Resistances to Crizotinib in NSCLC Patient-Derived Xenograft.. Anaplastic lymphoma kinase (ALK) is a receptor tyrosine kinase, and its mutation,..
Read More Poster Molecular Pathology of Patient Tumors, Patient-Derived Xenografts and Cancer.. 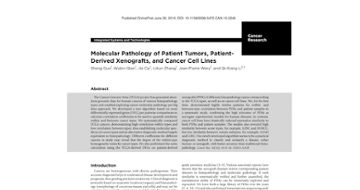 Cancers are heterogeneous diseases with diverse pathogenesis. 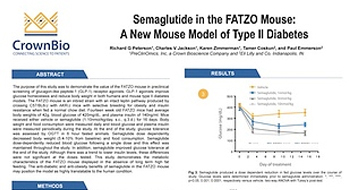 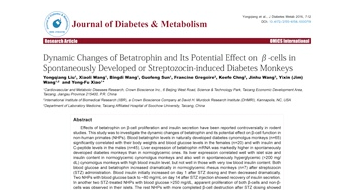 Clinical diagnosis is primarily..
Read More Poster A HuGEMM h/mPD1 Mouse Model for Testing Anti-Human PD-1 Therapeutics The recent approval of two monoclonal antibodies targeting the immune checkpoint programmed cell..
Read More Poster Dynamic Changes of Betatrophin, Insulin, and Glucose during STZ Induction of.. Betatrophin, also called angiopoietin-like protein 8/lipasin, characterized from the liver can..
Read More Poster Long-term Continuous Glucose Monitoring in Conscious Stress-free Non-Human.. Diabetes becomes a global epidemic issue. 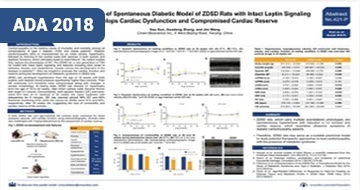 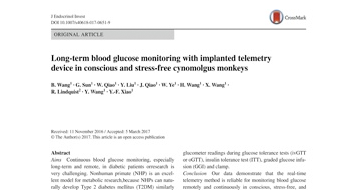 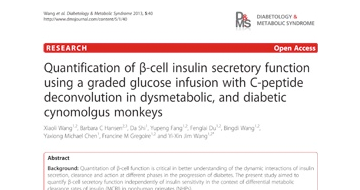 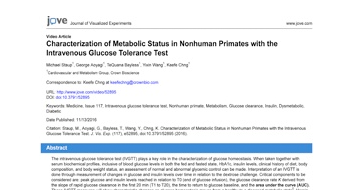 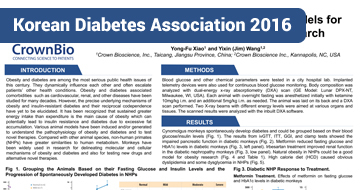 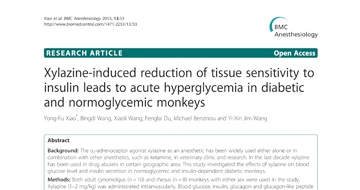 Aging nonhuman primates (NHPs) develop insulin..
Read More Poster Effects of Anesthesia on Metabolic Responses to Mixed Meal Tolerance Test in.. Mixed meal tolerance test (MMTT) is commonly used in diabetic research in experimental animal..
Read More Poster Left Ventricular Diastolic Dysfunction in Diabetic and Dysmetabolic Non-human.. Diabetes is one of the major risk factors for heart failure with reduced ejection fraction (EF),..
Read More Poster Activating Mutations in MYD88 and CD79B Are Predictive of Response to Ibrutinib.. DLBCL is the most common form of nonHodgkin’s lymphoma (NHL) consisting in 2 subtypes: the..
Read More Poster Application of Image-Guided Irradiation to a Preclinical Bioluminescent.. Radiotherapy is a primary, adjuvant or neoadjuvant treatment for a number of different cancers..
Read More Poster Profiling of Syngeneic Models by Check Point Inhibitors, RNAseq, and FACS.. Syngeneic tumor models have long been used in cancer research. 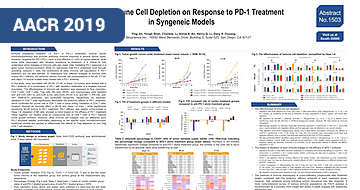 The recent clinical success of..
Read More Poster Preclinical Mouse Trials (MCT) to Guide the Human Studies Patient-derived xenograft (PDX) tumor models are widely used for assessing cancer treatments,..
Read More Poster Profiling of Syngeneic Models by Anti-PD-1, PD-L1 and CTLA-4 Immunotherapeutics.. Syngeneic tumor models have long been used in cancer research. 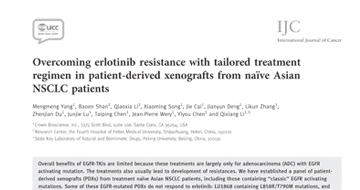 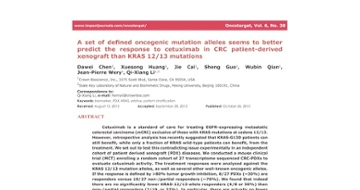 The recent clinical success of..
Read More Poster A Novel RET TKI Inhibits Growth of Patient-Derived Xenografts with RET Fusion.. Activation of RET, a RTK proto-oncogene, is associated with the development of several human..
Read More Poster Drug Resistant Murine Tumor Models Facilitate Development of Next Generation.. 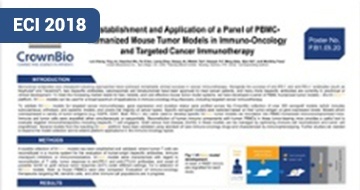 Despite the development of promising new anticancer drugs, all cancer therapeutics, including..
Read More Poster Establishment of a Humanized PD-1 Mouse Model for In Vivo Pharmacological.. 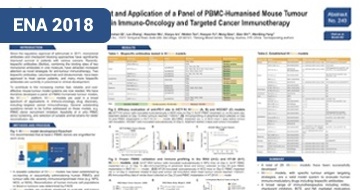 The recent approval of two immunotherapeutic agents targeting the immune checkpoint programmed..
Read More Poster Establishment of a Mouse Breast Cancer Allograft Model for In Vivo.. 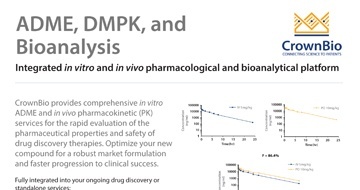 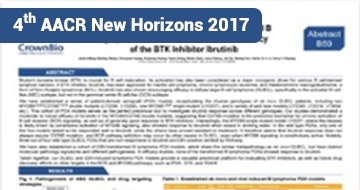 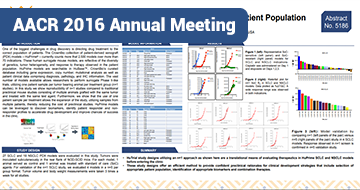 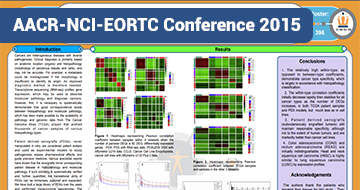 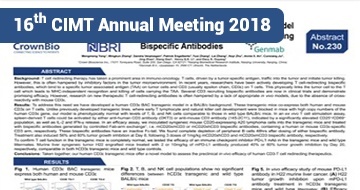 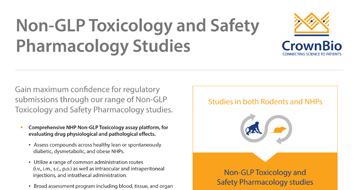 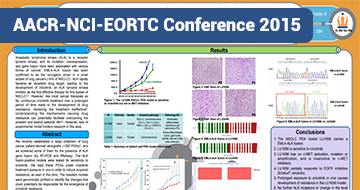 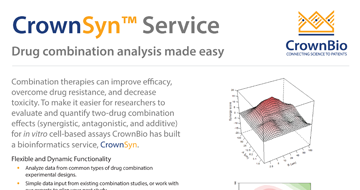 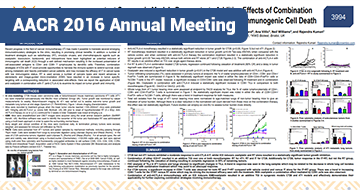 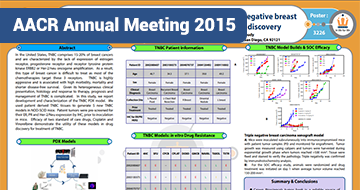 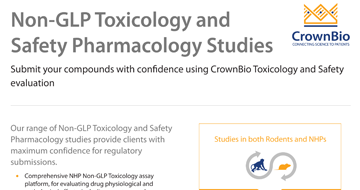 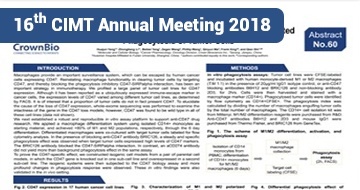 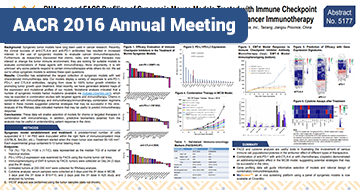 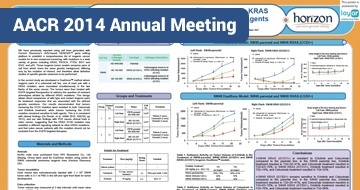 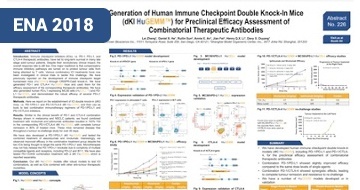 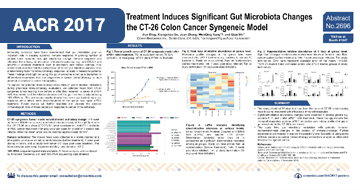 The recent clinical success of novel therapeutics blocking the immune checkpoints cytotoxic..
Read More Poster High Efficacy of a Novel and Specific c-MET TKI in a Cohort of PDXs from.. 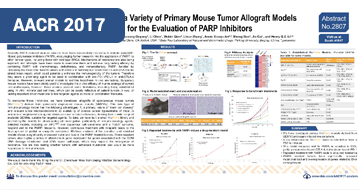 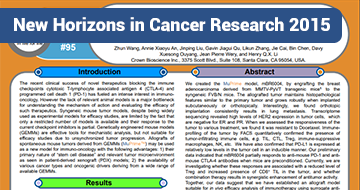 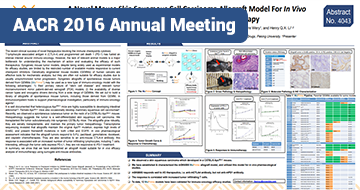 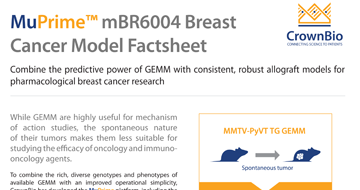 Turning on c-Met signaling, through gene amplification, activating mutations or interaction with..
Read More Poster Immunological Characterization: Allograft of Primary Murine Breast Cancer.. 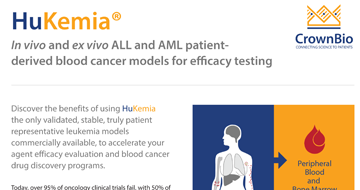 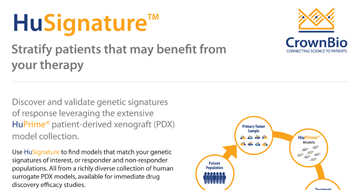 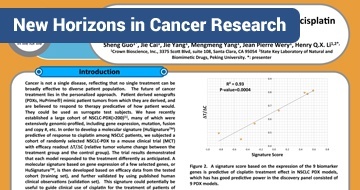 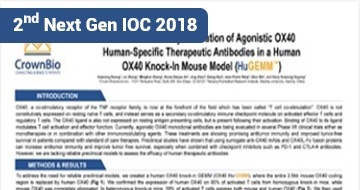 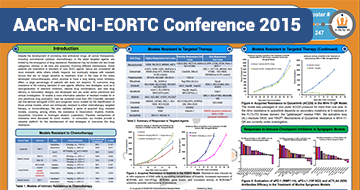 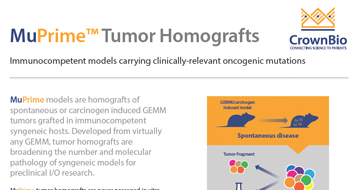 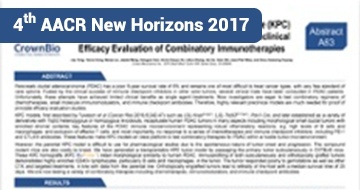 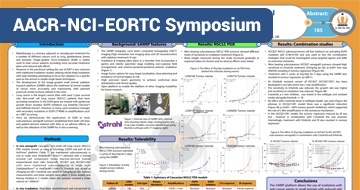 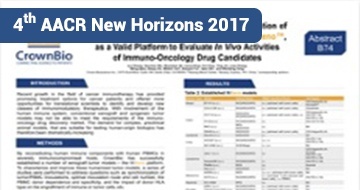 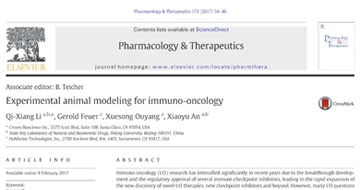 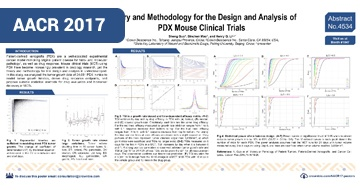 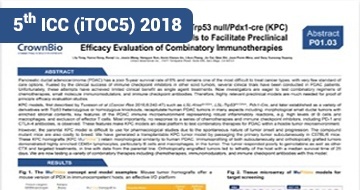 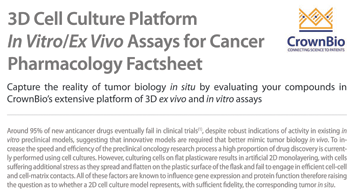 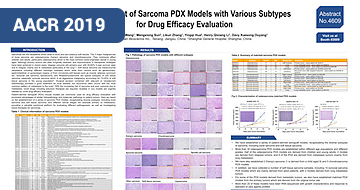 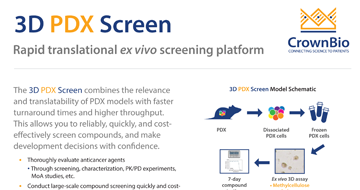 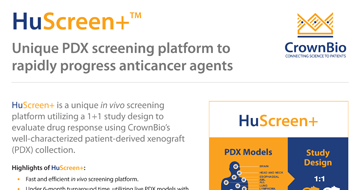 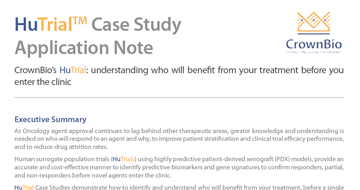 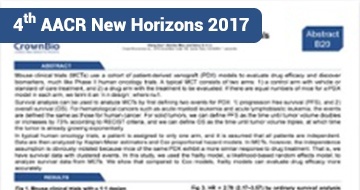 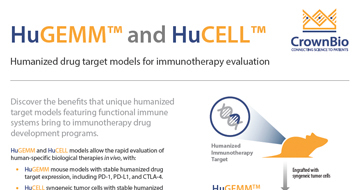 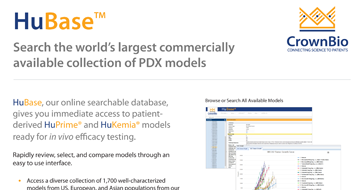 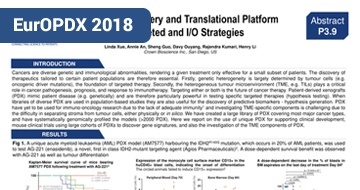 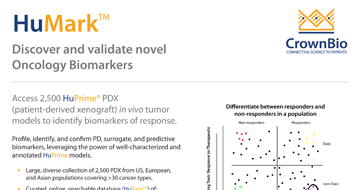 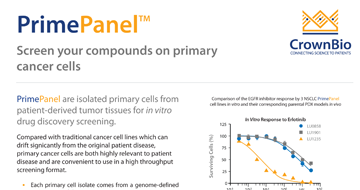 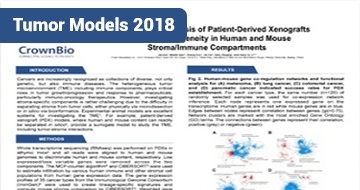 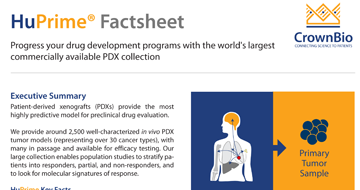 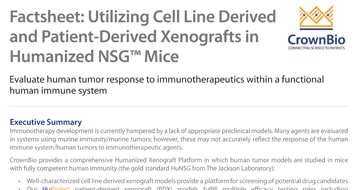 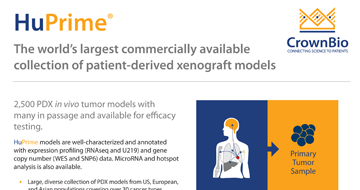 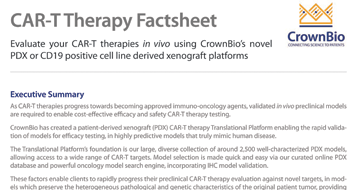 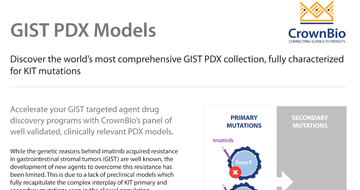 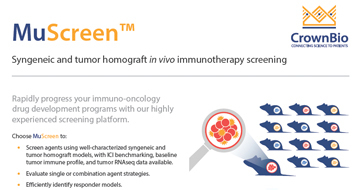 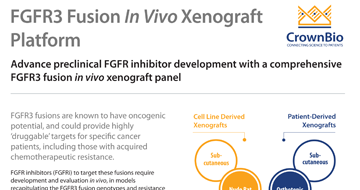 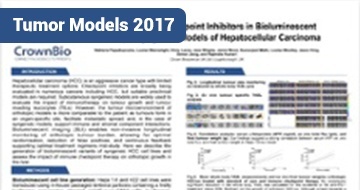 Thanks to the recent success in clinical trials, immunotherapy has become the main focus of..
Read More Poster Parameters Influencing Design of Mouse Clinical Trial (HuTrial™) Patient-derived xenograft (PDX) is increasingly used to evaluate oncology drug. 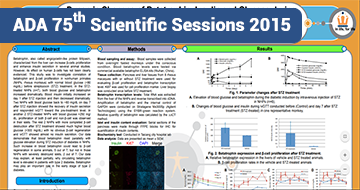 The fast..
Read More Poster Patient Relevant Preclinical In Vivo Models Using Image-Guided Small Animal.. We have recently successfully engrafted leukemic cells from bone marrow of 4 AML patients into..
Read More Poster Evaluate In Vivo Efficacy of Antitumor Immunotherapeutics Using MiXeno™ Mouse.. 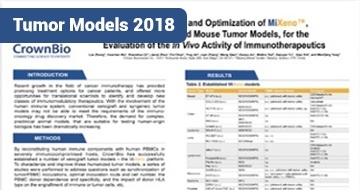 The past few years have witnessed a renaissance in the field of cancer immunotherapy, relating..
Read More Poster Modeling Anti-Leukemic Therapy by Patient-Derived AML Xenografts with Distinct.. We have recently successfully engrafted leukemic cells, isolated from bone marrows of 3 AML..
Read More Poster Xenograft Models for Development of New Drugs Targeting Fibroblast Growth.. 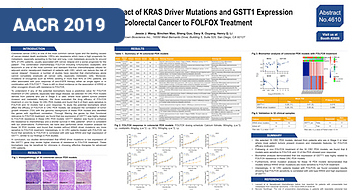 The fibroblast growth factor receptors (FGFR) are tyrosine kinases that are present in many..
Read More Poster X-MAN™ Isogenic DualXeno™ Models with KRAS Mutation Predicts the Effect of.. We have previously reported using cell lines generated with Horizon Discovery’s rAAV-based..
Read More Poster Cell-based Screening Identifies Gene Expression Signature Correlated with.. 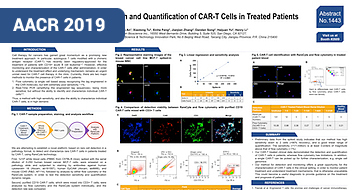 The Ras-Raf-MEK-ERK signaling cascade is one of the most well known pro-proliferation and..
Read More Poster In Vivo and In Vitro Generation and Characterisation of EGFR-TKI Resistance in.. 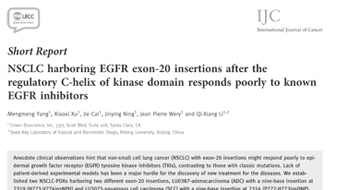 Most non-small cell lung cancer (NSCLC) patients that have activating mutations in the EGFR gene..
Read More Poster Syngeneic Models for Developing Cancer Therapeutics Targeting Immune System Syngeneic tumor models have long been used in cancer research, from mechanistic study to..
Read More Poster Treatment of Patient-Derived NSCLC Xenograft Preclinical Models Using.. Radiotherapy is a primary, adjuvant or neoadjuvant treatment for a number of different cancers..
Read More Poster Development of a Gene Signature for Stratifying Cisplatin Treatment of NSCLC.. Cancer is not a single disease, reflecting that no single treatment can be broadly effective to..
Read More Poster Induction of Resistance to Targeted Therapies in Patient-Derived Xenograft.. Oncogene activating mutations have been found to be oncogenic drivers in many different cancers,..
Read More Poster Patient-Derived AML Xenografts for Drug Evaluation We have recently successfully engrafted leukemic cells from bone marrow of 4 AML patients into..
Read More Publication ZDSD Rat – Improved Model for Diabetic Wound Healing Animal models of diabetic delayed wound healing are essential to the development of strategies..
Read More Publication FATZO Mouse - Improved Model for Preclinical Screening of Agents to Stop or.. 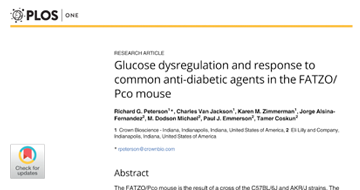 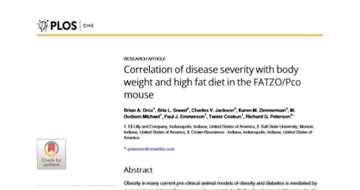 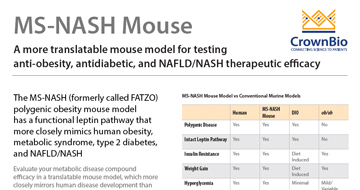 The FATZO/Pco mouse is an inbred strain exhibiting obesity in the presumed presence of an intact..
Read More Publication FATZO Mouse - Optimize Studies of Prevention, Stabilization, or Treatment of.. Quantitation of β-cell function is critical to better understand the dynamic interactions of..
Read More Publication Continuous Telemetry for More Physiologically Relevant NHP Glucose Monitoring Continuous blood glucose monitoring in diabetic patient research is extremely challenging,..
Read More Publication IVGTT Provides Valuable Information on NHP Metabolic State The intravenous glucose tolerance test (IVGTT) plays a key role in the characterization of..
Read More Publication Insulin Resistance Similarities in Diabetic NHPs and Humans Insulin resistance and diabetes can develop spontaneously with obesity and aging in rhesus..
Read More Publication NHP Liver Expresses Abundant Betatrophin mRNA Betatrophin reportedly plays a major role on stimulating proliferation of islet cells and..
Read More Publication Naturally Obese NHPs – Highly Translatable Animal Models for Human Dysmetabolism Many animal models have been used to research and understand the mechanisms of obesity, and to..
Read More Publication Dysmetabolic NHPs are Highly Translatable for Cardiometabolic Disorders Diabetes is one of the major risk factors for cardiomyopathy and heart failure with reduced..
Read More Publication First Detailed Characterization of Diabetic Nephropathy in NHPs It is well-recognized that non-human primate (NHP) models of diabetes and metabolic disease..
Read More Publication Naturally Diabetic NHPs – The Most Predictive Animal Model for Human Disease Various animal models have been used in research for understanding diabetes and metabolic..
Read More Publication GGI and C-Peptide Deconvolution - Powerful Translational Tools for Diabetes.. Quantitation of β-cell function is critical to better understand the dynamic interactions of..
Read More Publication Xylazine Causes Acute Hyperglycemia in NHPs The α2-adrenoceptor agonist xylazine has been widely used as an anesthetic in veterinary clinics..
Read More Publication ccRCC Intra-Tumor Molecular Heterogeneity Influences Targeted Therapy Response Both inter- and intra-tumor molecular heterogeneity are increasingly being recognized in clear..
Read More Publication Optimizing Inhibitors for RET Rearranged Tumors The targeted inhibition of oncogenic driver mutations is an underlying principle of oncology..
Read More Publication Introduction to Preclinical Immuno-Oncology In Vivo Models Immuno-oncology research has dramatically increased over the past few years, due to the clinical..
Read More Publication CRC Sensitivity to Proteasome Inhibitor Investigated Colorectal cancer (CRC) has a low 5 year survival rate, due to the late diagnosis of advanced..
Read More Publication First-in-Class PIKfyve Kinase Inhibitor for B-NHL Identified Non-Hodgkin lymphoma (NHL) covers a group of lymphoproliferative malignancies with subtypes..
Read More Publication First Stable, Serially Transplantable M5 AML PDX Model Patient-derived xenografts (PDX) have proven to be useful preclinical research tools across many..
Read More Publication Expression Based RAS Pathway Predicts CRC Cetuximab Response Cetuximab is approved for the treatment of metastatic colorectal cancer (mCRC), excluding..
Read More Publication Confirmed - High Relevance of PDX as Surrogate Experimental Models The accurate diagnosis of cancer types is needed to understand disease development and..
Read More Publication Novel Ex Vivo 3D Tumor Growth Assay for PDX Developed It is increasingly recognized that preclinical models do not fully reflect the tumor..
Read More Publication Design and Optimization of DAAP ALK Inhibitors Anaplastic lymphoma kinase (ALK) is a receptor tyrosine kinase belonging to the insulin receptor..
Read More Publication Oncogenic Allele Signature Predicts CRC Cetuximab Response Cetuximab is an approved standard of care agent for EGFR+ metastatic colorectal cancer (mCRC),..
Read More Publication New DAAP ALK Inhibitor Series Discovered Anaplastic lymphoma kinase (ALK) is a receptor tyrosine kinase that belongs to the insulin..
Read More Publication Metastatic Gastric Neuroendocrine Carcinoma PDX Model Developed Patient-derived xenograft (PDX) models show improved predictability for drug development..
Read More Publication Cancer Stem Cells Targeted by PI3K/mTOR Inhibitor Cancer stem cells (CSC) are implicated in chemoresistance, as well as disease metastasis,..
Read More Publication Predicting Cetuximab Response in Gastric Cancer using MCT Gastric cancer (GC), specifically gastric adenocarcinoma, is one of the leading causes of cancer..
Read More Publication Novel Multitarget Kinase Inhibitor for HCC and GC Discovered Protein kinases are successful therapeutic targets in oncology, validated by the broad..
Read More Publication VEGI is a Potential Tumor Suppressor in RCC While vascular endothelial growth inhibitor (VEGI) has been associated with tumor-related..
Read More Publication How to Overcome EGFR TKI Resistance in NSCLC EGFR tyrosine kinase inhibitors (TKI) including erlotinib have provided significant clinical..
Read More Publication Optimization of HDAC Inhibitors for HCC Hepatocellular carcinoma (HCC) is among the leading causes of cancer death worldwide, with poor..
Read More FactSheet Rodent Models of Cardiovascular Disease Rodent models of cardiovascular disease technologies and resources including continuous..
Read More FactSheet ZDSD Rat Factsheet The ZDSD polygenic rat model with functional leptin pathway, a highly translatable model which..
Read More FactSheet Rodent Models of Diabetes Rodent models of diabetes and our study services including continuous glucose determination. 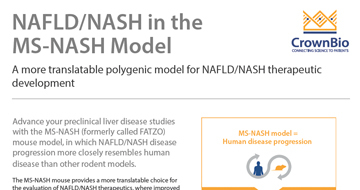 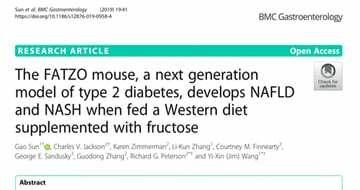 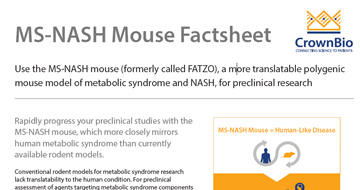 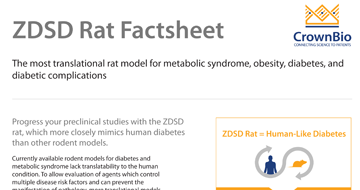 Read More FactSheet MS-NASH Mouse Model The MS-NASH (FATZO) polygenic mouse model with functional leptin pathway, a more translatable..
Read More FactSheet Spontaneously Diabetic NHPs Spontaneously diabetic NHPs which mirror human disease phenotype, metabolic defects, and..
Read More FactSheet NAFLD/NASH in the MS-NASH Mouse The MS-NASH model, which develops NAFLD/NASH in an inherently dysmetabolic, obese, and diabetic..
Read More FactSheet Rodent Models of Obesity Rodent models of obesity technologies and resources including our main study endpoints. 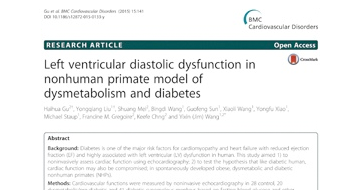 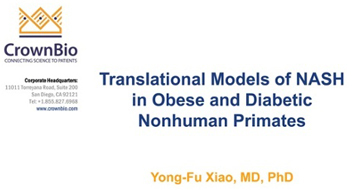 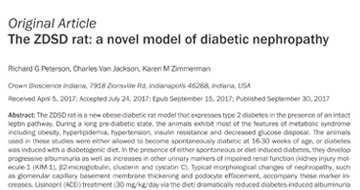 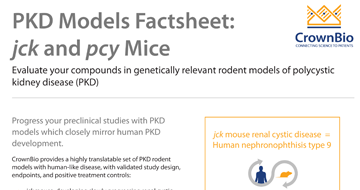 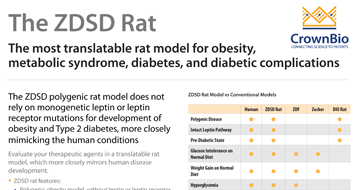 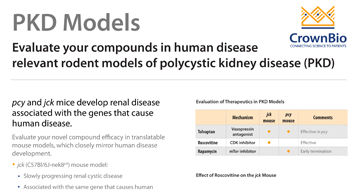 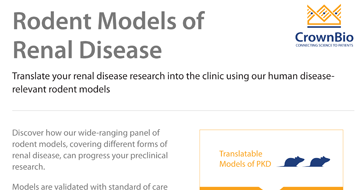 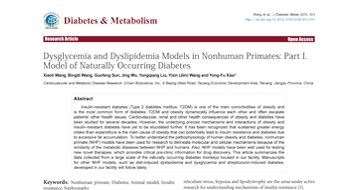 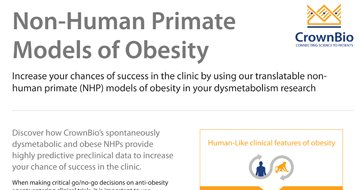 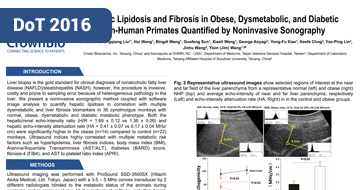 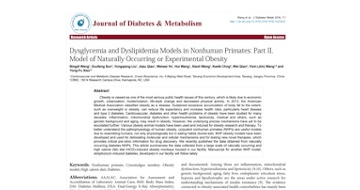 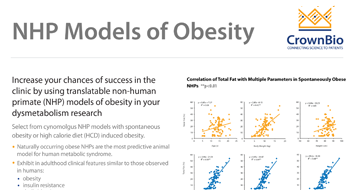 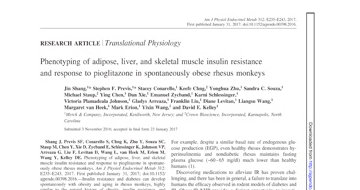 Read More FactSheet Non-Human Primate Models of Obesity Spontaneous and diet-induced NHP models of obesity allowing research on metabolic dysfunction..
Read More FactSheet Rodent Models of Renal Disease Rodent models of renal disease including genetically relevant, translatable, and induced disease..
Read More FactSheet PKD Models Genetically relevant models of Polycystic Kidney Disease (PKD) including the jck and pcy mice..
Read More FactSheet Non-GLP Toxicology and Safety Pharmacology Studies CrownBio also provides details on our comprehensive Non-GLP Toxicology and Safety Pharmacology..
Read More FactSheet CAR-T Therapy Preclinical evaluation of CAR-T therapies in vivo using our novel Patient-Derived Xenograft..
Read More FactSheet Utilizing Cell Line Derived and Patient-Derived Xenografts in Humanized NSG™.. 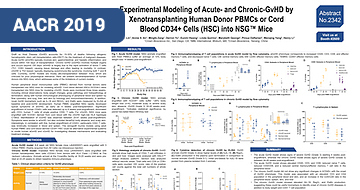 Evaluating Cell Line Derived Xenograft and PDX models in humanized mice, including immune memory..
Read More FactSheet MiXeno™ MiXeno™ models featuring transient human immunity in mice, providing a simple alternative to the..
Read More FactSheet HuGEMM™ and HuCELL™ Models HuGEMM™ and HuCELL™, our unique platforms for evaluation of targeted human-specific..
Read More FactSheet Syngeneic Models Syngeneic models, showcasing our ever expanding syngeneic collection, FACS analysis, and..
Read More FactSheet MuScreen™ MuScreen™ CrownBio’s large-scale, screening platform to fast-track the in vivo screening of..
Read More FactSheet MuPrime™ Model MuPrime™ - homografts of spontaneous murine tumors (from GEMM/carcinogen-induced models),..
Read More FactSheet MuPrime™ mBR6004 Breast Cancer Model MuPrime mBR6004 which takes a closer look at our most highly studied MuPrime model including..
Read More FactSheet RET Fusion RET fusion in CRC PDX models, including model response to RET inhibitor treatment, and the..
Read More FactSheet FGFR3 Fusion In Vivo Xenograft Platform Our FGFR3 fusion in vivo xenograft platform covering both patient and cell line derived..
Read More FactSheet HuKemia® Discover our validated stable HuKemia® models, the only commercial blood cancer PDX models to..
Read More FactSheet GIST PDX Models Use the world's most comprehensive GIST PDX collection to evaluate the next generation of..
Read More FactSheet NHL DLBCL PDX Models Read how to accelerate NHL DLBCL targeted agent and combination therapy drug discovery programs..
Watch Now On-Demand Webinar How to Maximize Your Non-GLP Toxicology Studies: A Guide for Optimal Design and.. 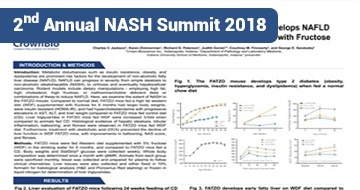 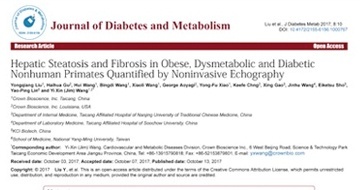 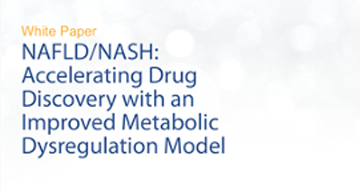 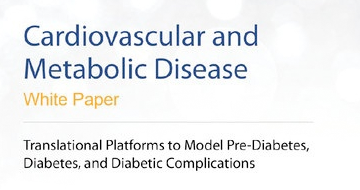 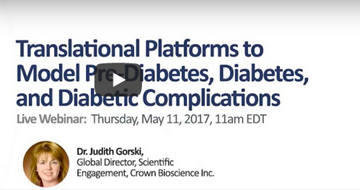 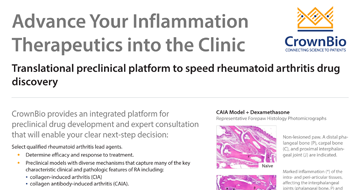 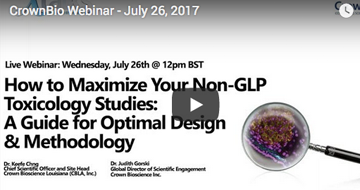 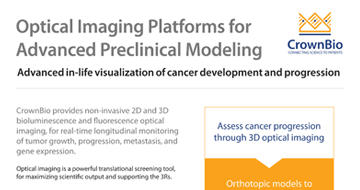 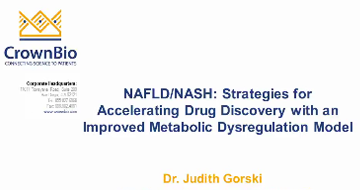 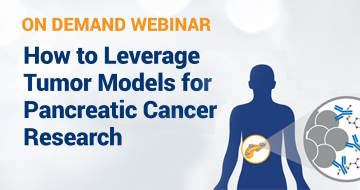 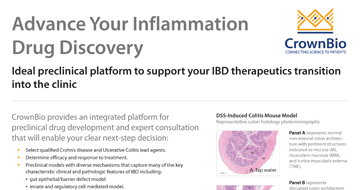 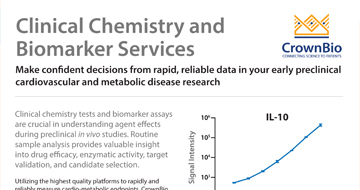 Prior to clinical studies in humans, an investigational new drug (IND) application must be..
Read More FactSheet Optical Imaging Platforms for Advanced Preclinical Modeling Utilize our clinically relevant optical imaging models to enable in-life visualization of tumor..
Watch Now On-Demand Webinar NAFLD/NASH: Strategies for Accelerating Drug Discovery with an Improved.. Metabolic disturbances such as insulin resistance, obesity, and dyslipidemia are prominent risk..
Watch Now On-Demand Webinar Translational Platforms to Model Pre-Diabetes, Diabetes, and Diabetic.. A key challenge in preclinical studies of diabetes is the lack of translational platforms that..
Watch Now On-Demand Webinar Vascular and Neural Complications in Rodent Models of Obesity and Type 2.. 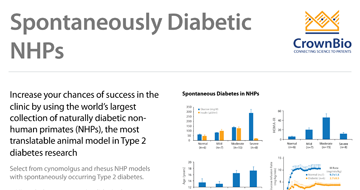 Peripheral neuropathy affects around 50% of the diabetic population. 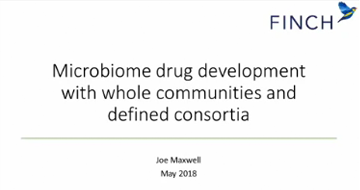 Manifestations range from..
Watch Now On-Demand Webinar Microbiome Drug Development with Whole Communities and Defined Consortia Microbiome therapies are still in their infancy, but are rapidly advancing into clinical testing..
Read More FactSheet MuBase® Use our unique online database MuBase® to quickly and easily identify the most suitable murine..
Watch Now On-Demand Webinar Are You Choosing the Right Model? 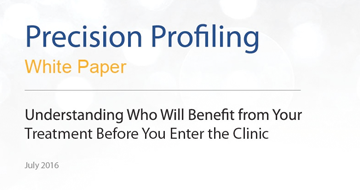 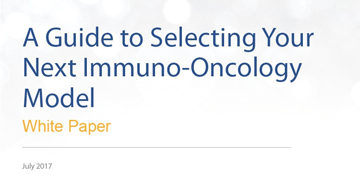 A Guide to Selecting Your Next.. 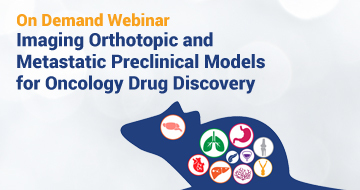 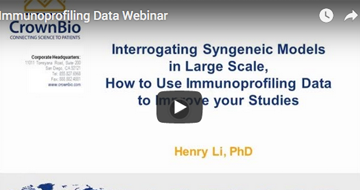 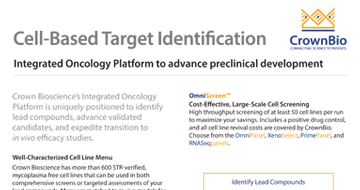 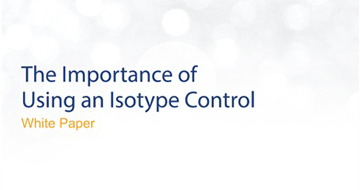 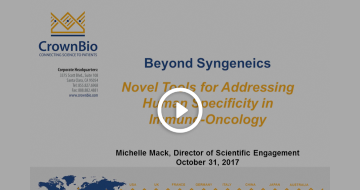 Recent regulatory approvals and fast-track designations have signified the coming of age of..
Watch Now On-Demand Webinar Beyond Syngeneics – Novel Tools for Addressing Human Specificity in.. Checkpoint inhibitors such as anti-PD-1, anti-PD-L1, and anti-CTLA-4 have revolutionized..
Watch Now On-Demand Webinar Clinically Relevant Cell-Based Solutions for Target Identification Target identification studies play a critical role in the early stages of cancer drug discovery..
Read More FactSheet 3D Cell Culture Platform In Vitro/Ex Vivo Assays for Cancer Pharmacology Our 3D cell culture platforms described in detail, including the 3D tumor growth assay (3D TGA)..
Watch Now On-Demand Webinar Exploring Translational Capabilities of PDX Models across In Vivo, In Vitro and.. 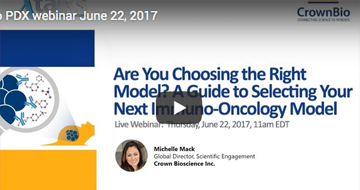 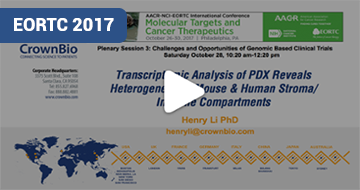 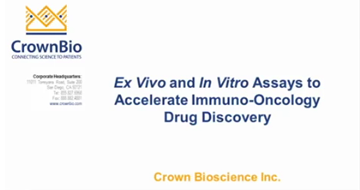 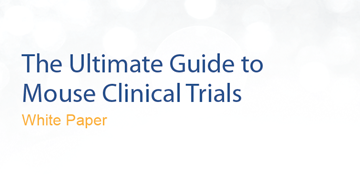 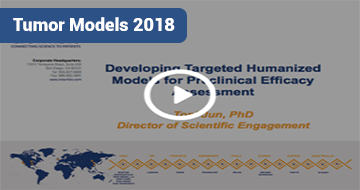 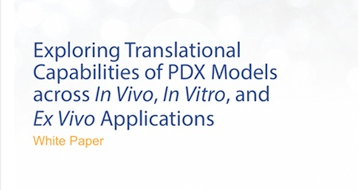 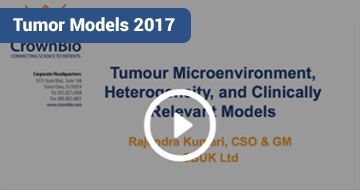 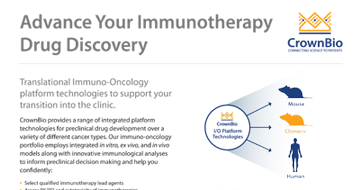 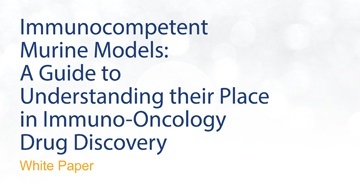 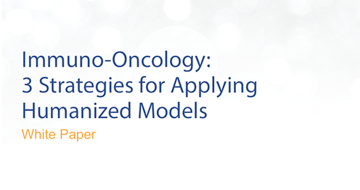 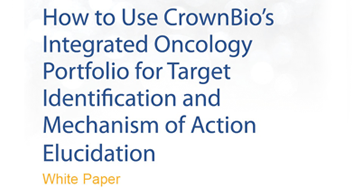 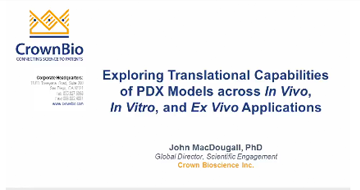 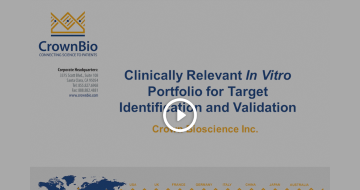 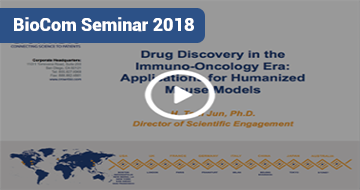 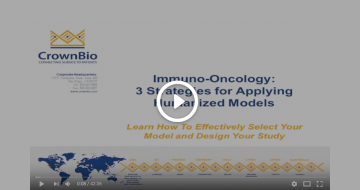 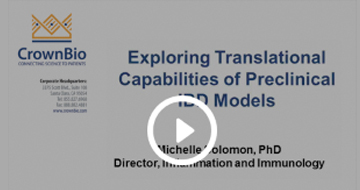 The development of novel cancer therapies to take into the clinic requires significant..
Watch Now On-Demand Webinar Immuno-Oncology: 3 Strategies for Applying Humanized Models The evaluation of human specific immunotherapeutics is hampered by a lack of preclinical..
Watch Now On-Demand Webinar In Vitro and Ex Vivo Assays to Accelerate Immuno-Oncology Drug Discovery Immunotherapy represents one of the most promising cancer treatment approaches in modern..
Watch Now On-Demand Webinar Interrogating Syngeneic Models in Large Scale, How to Use Immunoprofiling Data.. Syngeneic models are a standard preclinical platform for evaluating immunotherapies. 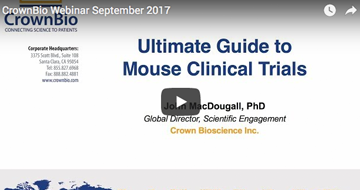 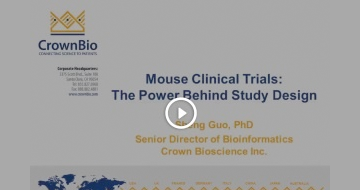 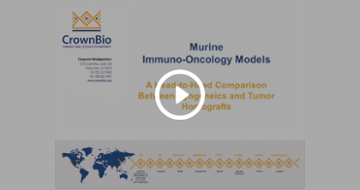 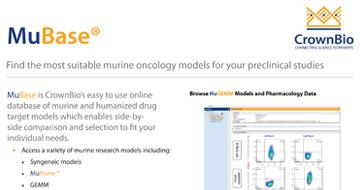 However,..
Watch Now On-Demand Webinar Mouse Clinical Trials: The Power Behind Study Design It is widely known that the attrition rate of oncology drugs in the clinical setting can be..
Watch Now On-Demand Webinar Murine Immuno-Oncology Models: A Head-to-Head Comparison Between Syngeneics and.. Syngeneics have been the mainstay model for surrogate immunotherapy evaluation as an..
Watch Now On-Demand Webinar Patient-Derived Xenografts: New Advancements in Preclinical Prostate Cancer.. Prostate cancer is a highly heterogeneous disease, with extremely complex biological, hormonal,..
Watch Now On-Demand Webinar The Ultimate Guide to Mouse Clinical Trials The cost of bringing a new drug to market carries a high price, however it is even more costly..
Read More Application Note HuTrial™ Case Studies CrownBio presents a variety of interesting and diverse mouse clinical trials, using our PDX..
Read More Application Note In Vitro and Ex Vivo Immuno-Oncology Drug Discovery Discover how CrownBio’s comprehensive Immuno-Oncology platform allows end-to-end in vitro and ex..
Read More Quick Fact OncoExpress™ One stop search engine for Oncology models including PDX, cell line derived xenografts, and..
Read More Quick Fact PrimePanel™ PrimePanel are isolated primary cells from patient-derived tumor tissues for in vitro drug..
Read More Quick Fact Cell-Based Target Identification Discover an integrated oncology portfolio providing cell-based solutions for target..
Read More Quick Fact XenoBase® - Which cell line is best for your cancer study? 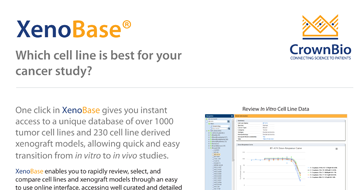 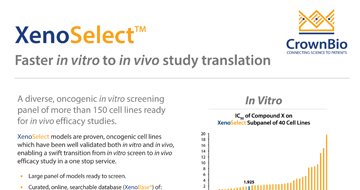 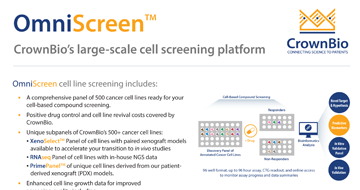 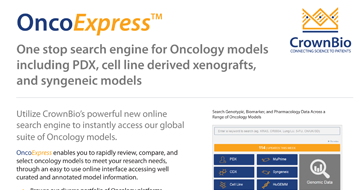 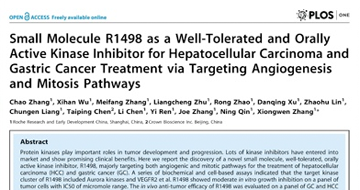 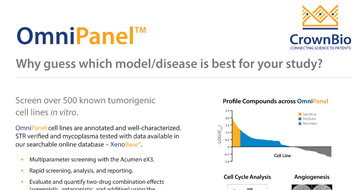 One click in XenoBase gives you instant access to a unique database of over 1000 tumor cell..
Read More Quick Fact XenoSelect™ - Faster in vitro to in vivo study translation A diverse, oncogenic in vitro screening panel of more than 150 cell lines ready for in vivo..
Read More Application Note Spontaneously Diabetic NHPs Discover our collection of naturally diabetic NHPs (the most clinically translatable animal..
Read More White Paper NAFLD/NASH: Accelerating Drug Discovery with an Improved Metabolic.. Nonalcoholic steatohepatitis (NASH) is an increasing public health issue, with no currently..
Read More White Paper Translational Platforms to Model Pre-Diabetes, Diabetes, and Diabetic.. 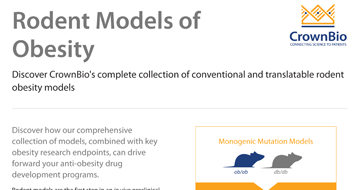 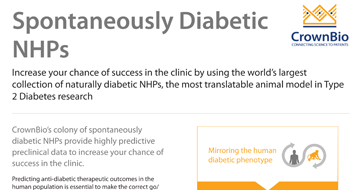 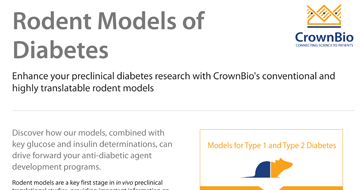 Modeling human diabetes in animal models is challenging – currently available models only mimic..
Read More White Paper Exploring Translational Capabilities of PDX Models across In Vivo, In Vitro,.. Patient-derived xenografts are recognized as the most predictive preclinical model available for..
Read More White Paper How to Choose the Correct I/O Model As immuno-oncology continues to grow as a therapeutic area, more preclinical research is driven..
Read More White Paper Optimize Target Identification and MOA Studies Correctly identifying drug targets and elucidating MOA is a critical stage in early drug..
Read More White Paper 3 Strategies for Applying Humanized Models Immunotherapeutics have proven to be a game changer in oncology – bringing tremendous patient..
Read More White Paper Precision Profiling With PDX Oncology drug development is inefficient and expensive, costs quickly spiral upwards while..
Read More White Paper The Ultimate Guide to Mouse Clinical Trials Traditional oncology drug development strategies are failing – oncology agents have a higher..
Read More Publication ZDSD Rat – A Dysmetabolic Model to Study Cardiomyopathy Treatment Approaches Diabetic cardiomyopathy (DC) is the leading cause of morbidity and mortality among all..
Read More Application Note NHP Models of Obesity Obesity is becoming a serious epidemic issue across the world, and has already become one of the..